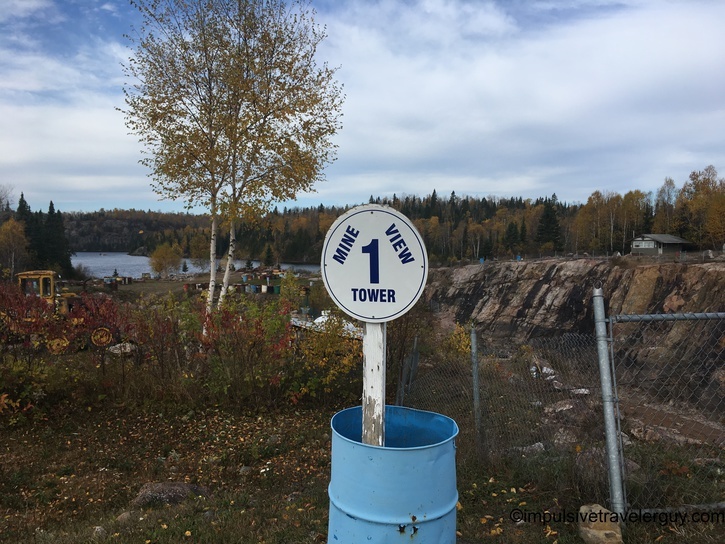 For my actual mission to Thunder Bay, this was the primary place I was concerned with visiting (more details on a later blog entry). 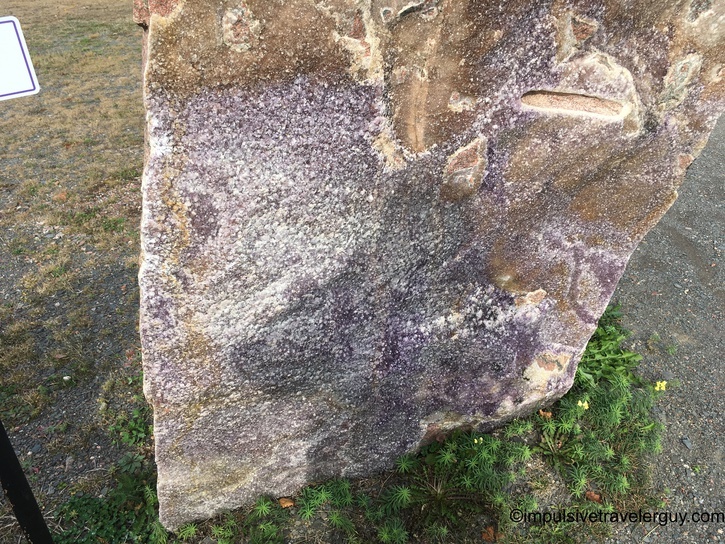 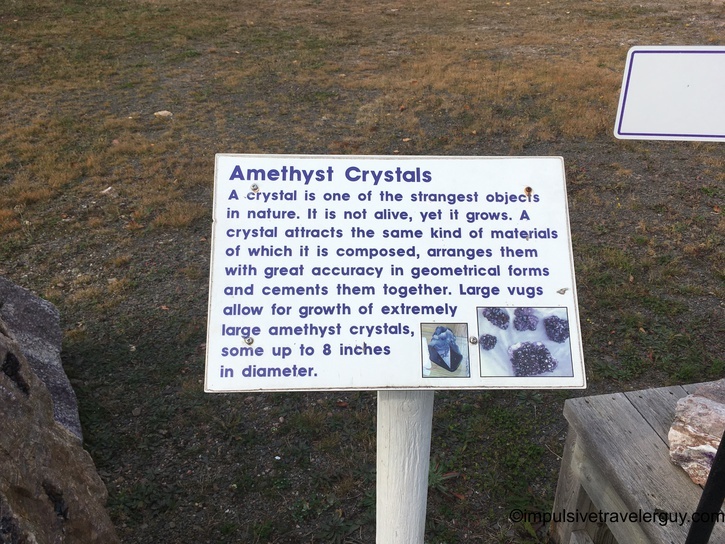 Amethyst is a purple variety of quartz. 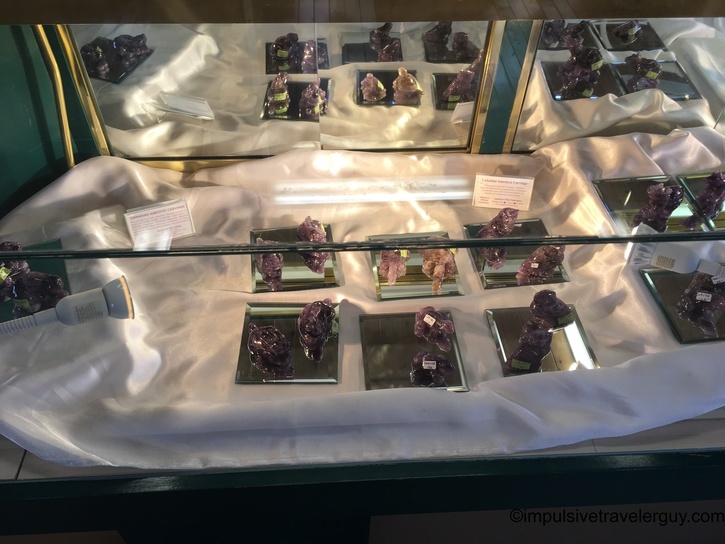 It can be used as a gemstone and also has a lot of mythology behind it because it has been valued over the ages. 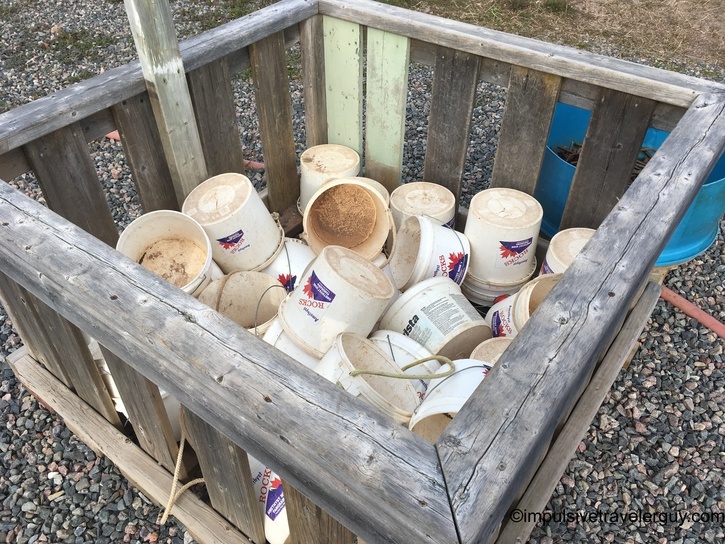 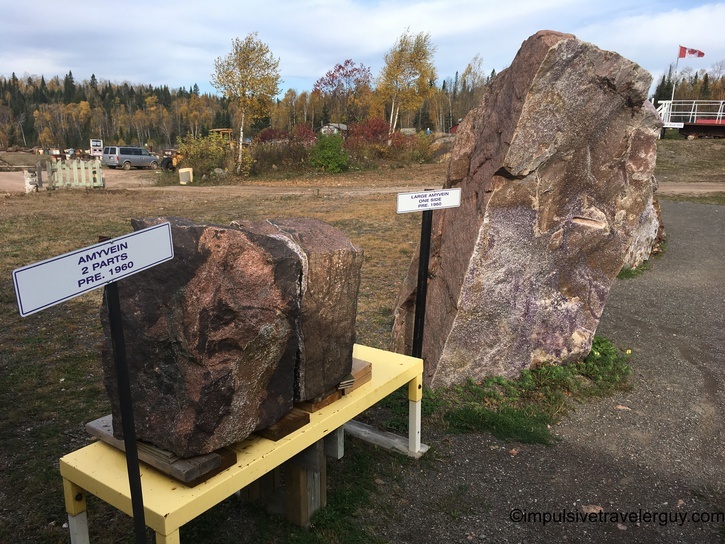 The biggest deposits in North America are located along Lake Superior, mainly in Ontario. 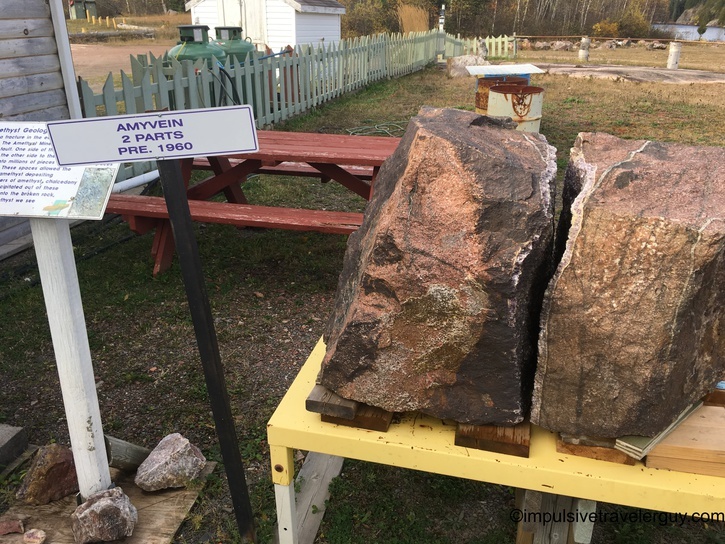 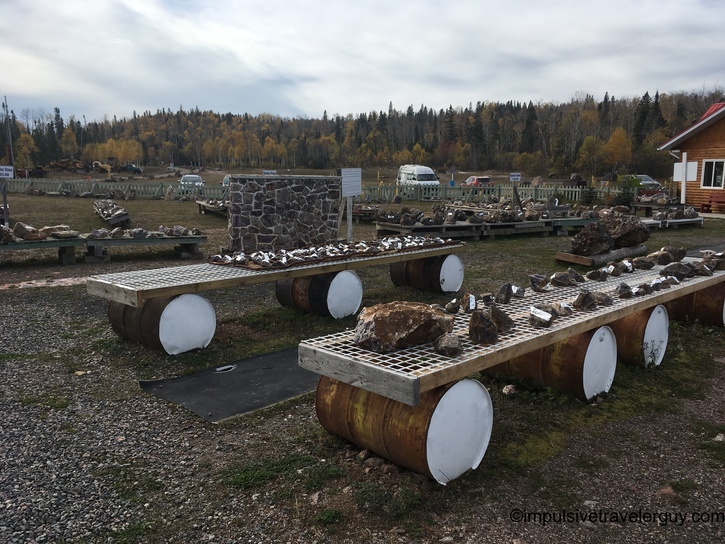 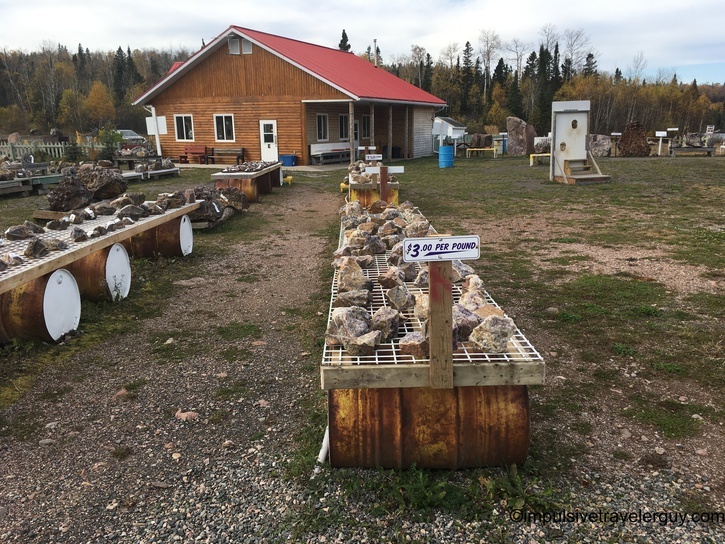 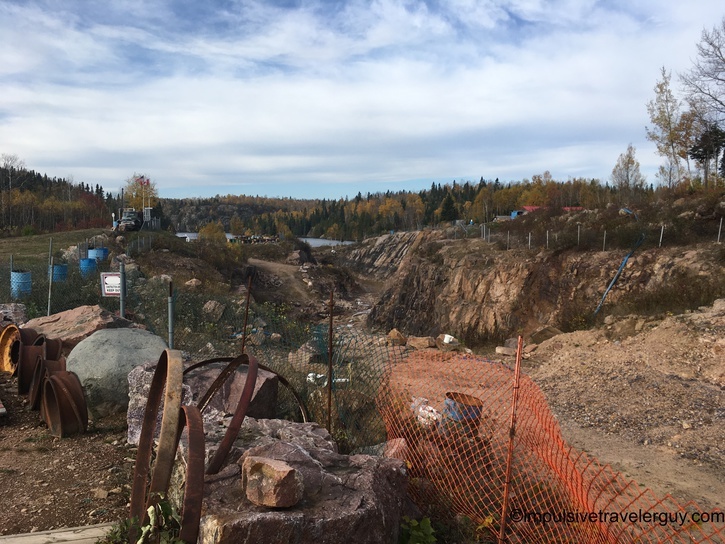 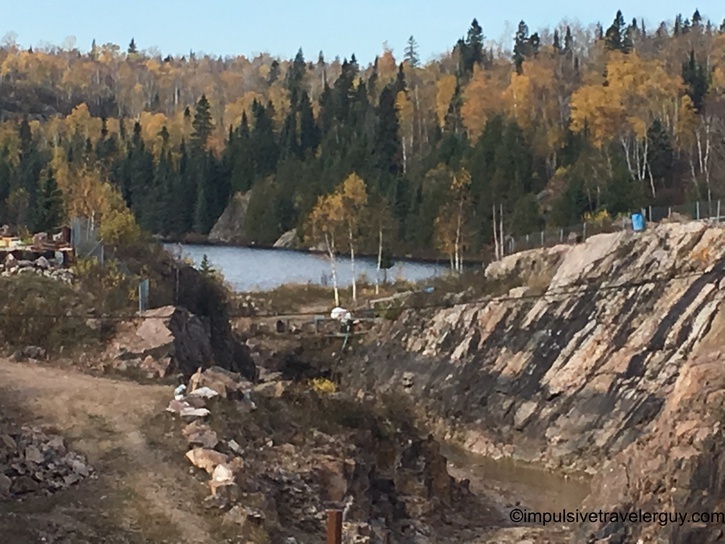 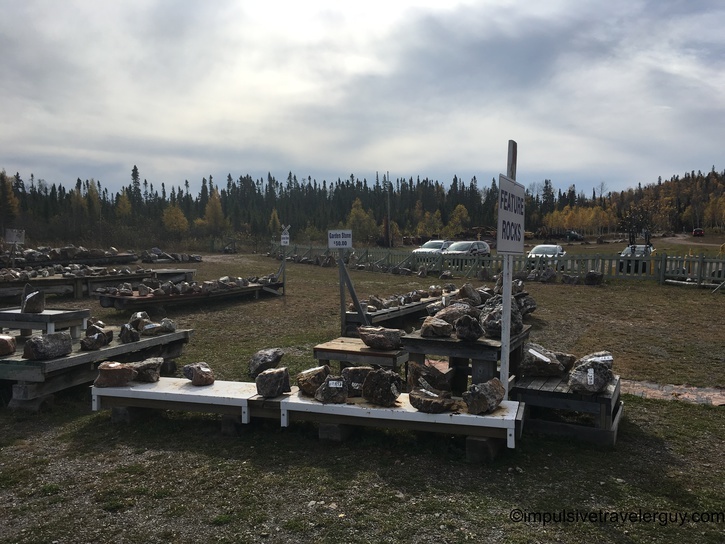 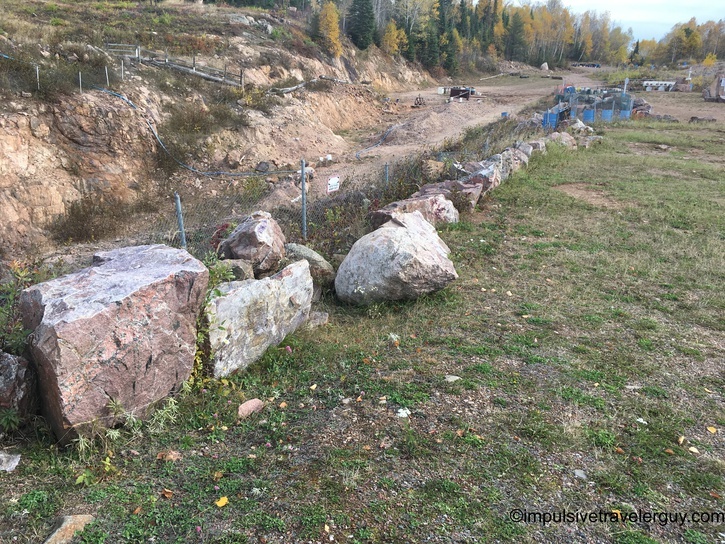 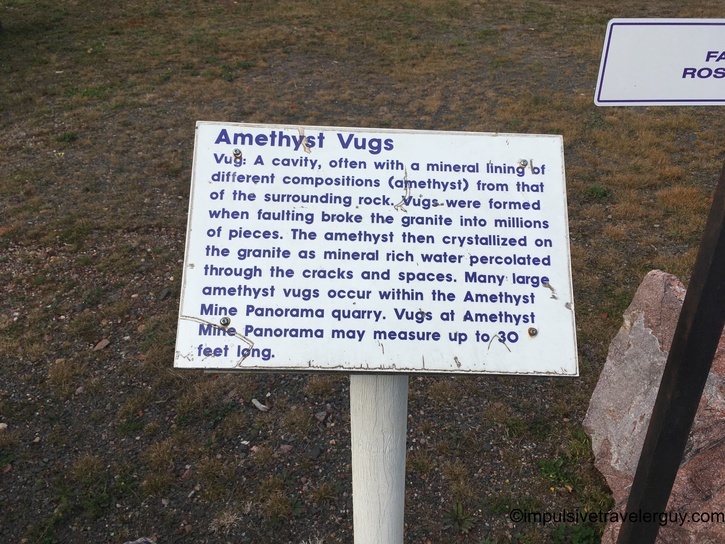 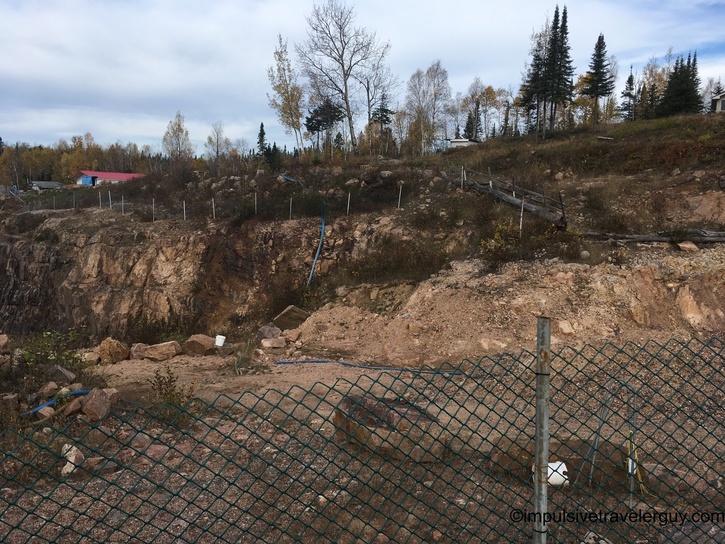 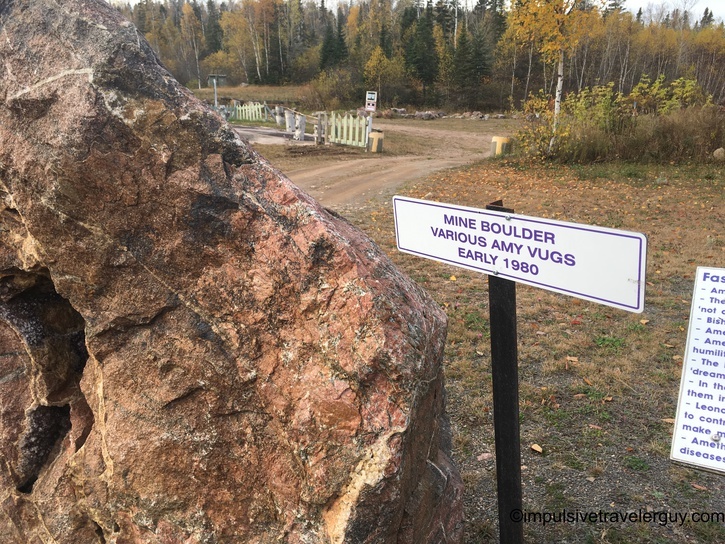 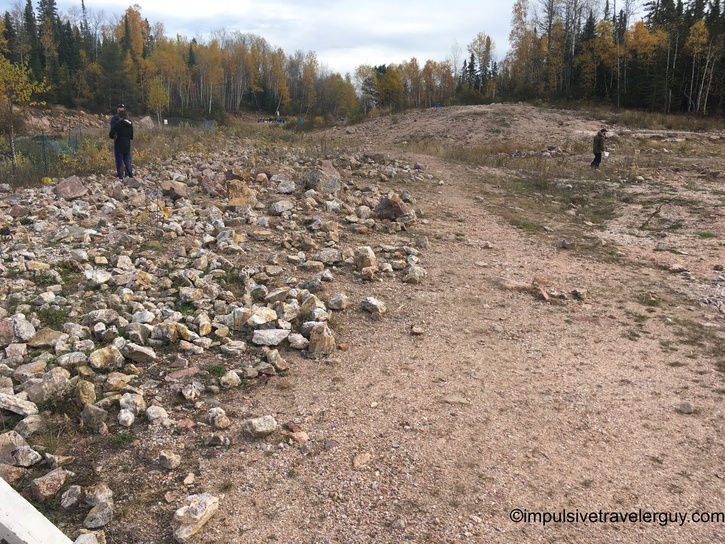 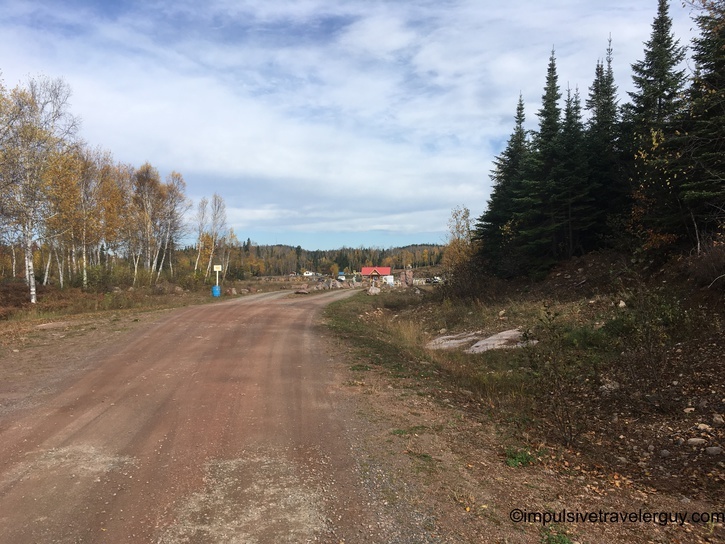 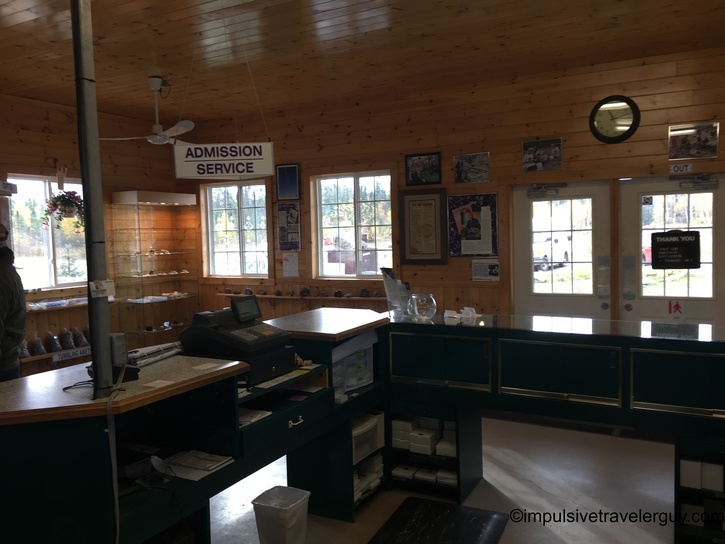 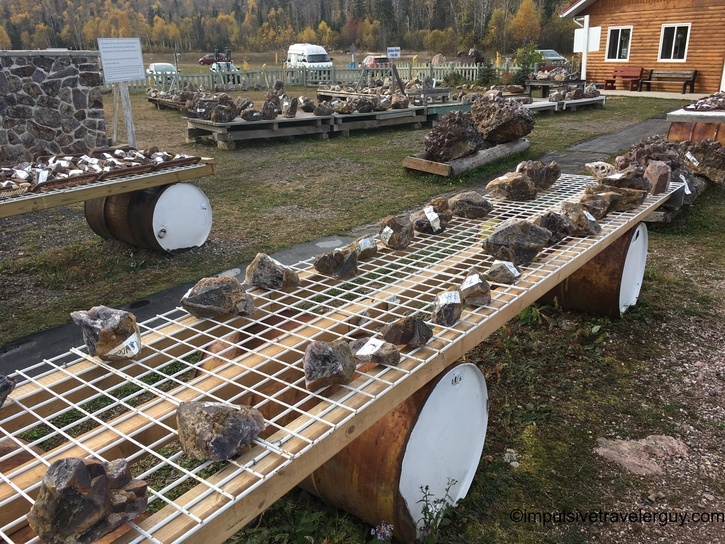 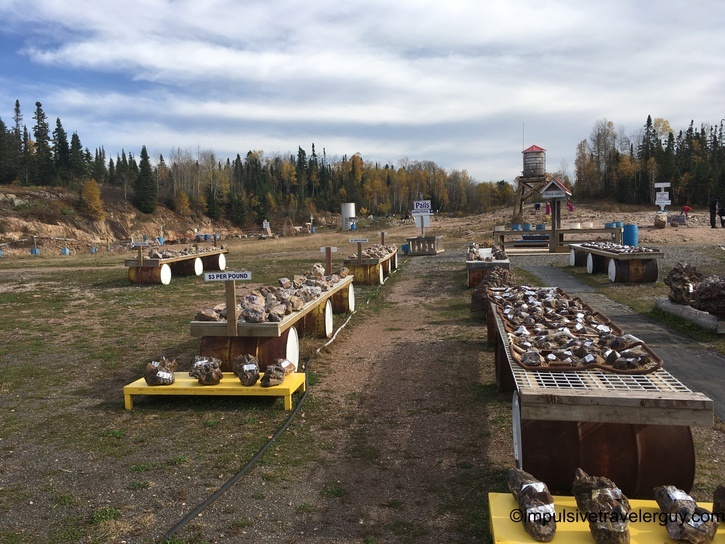 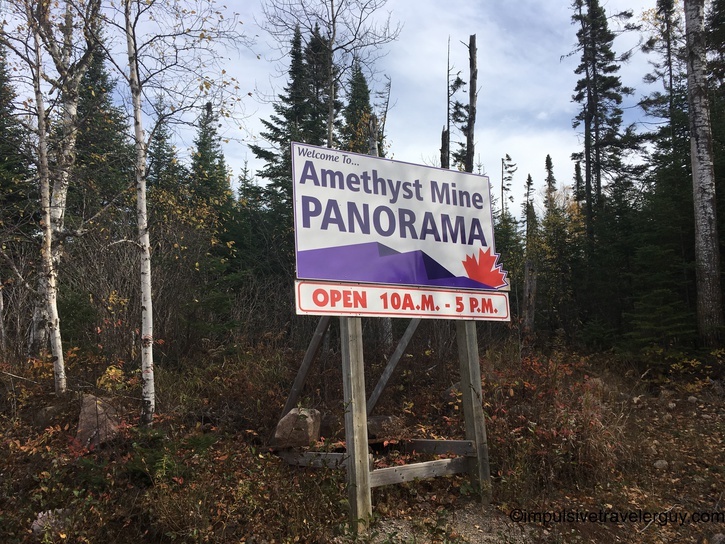 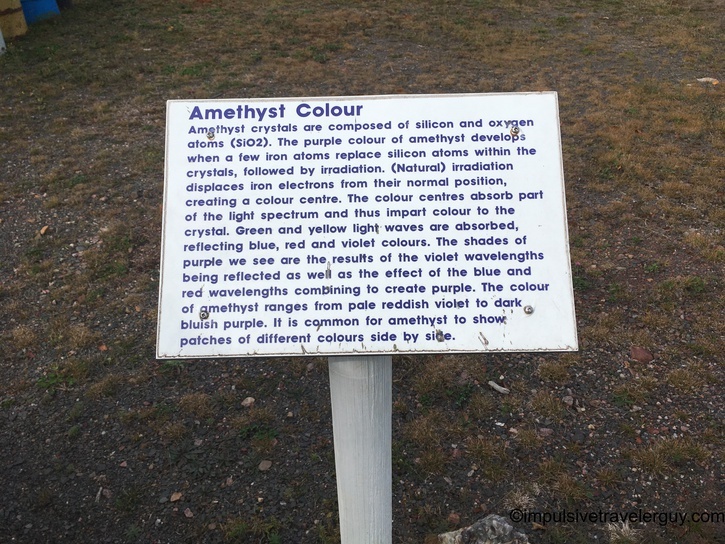 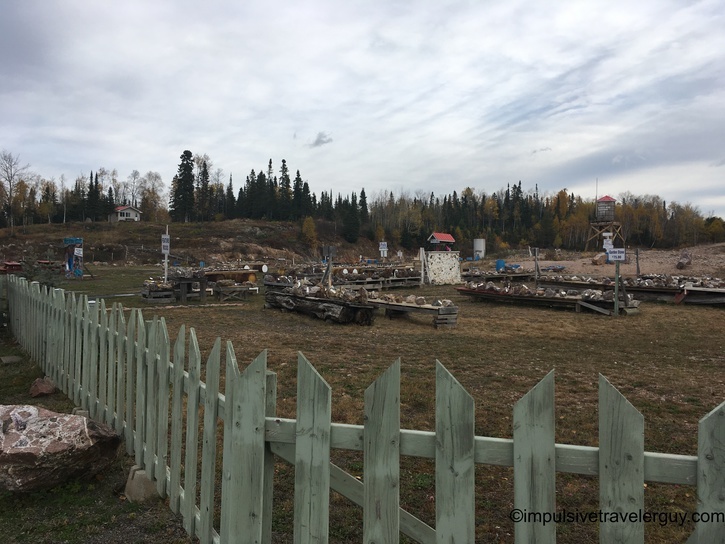 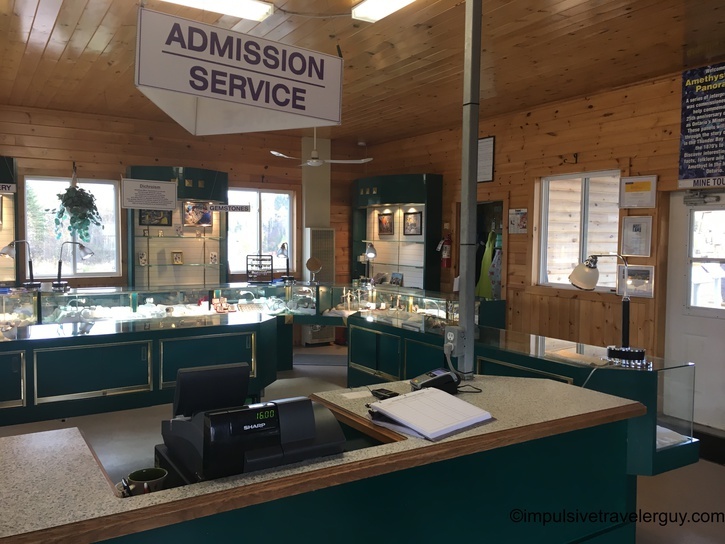 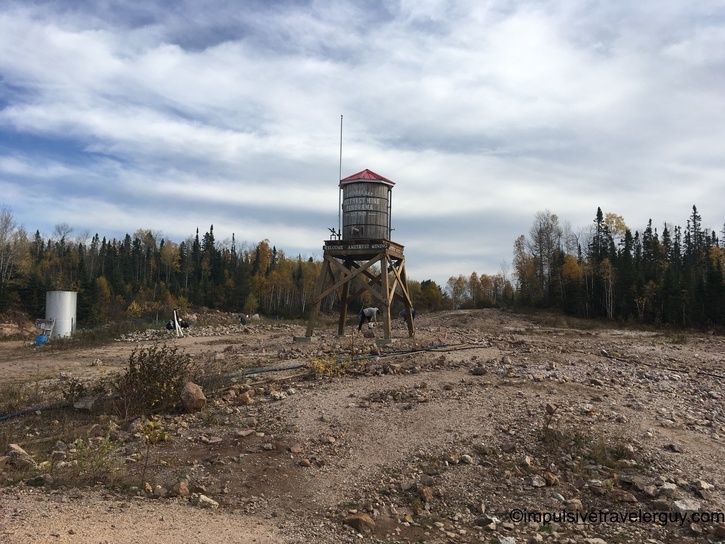 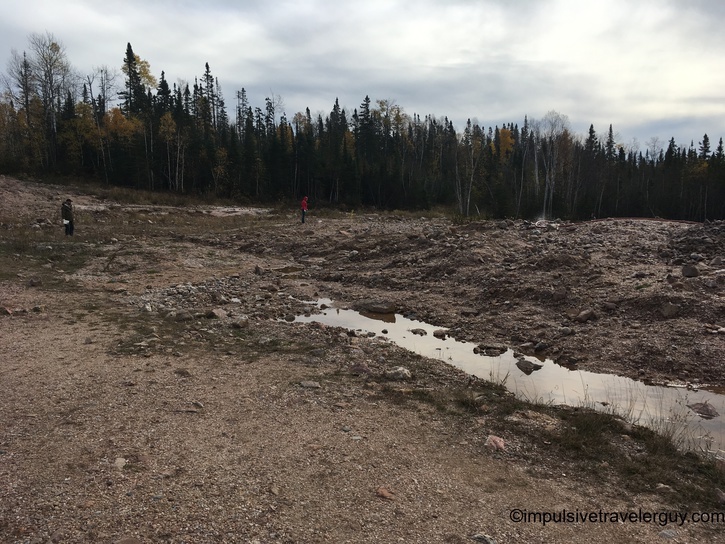 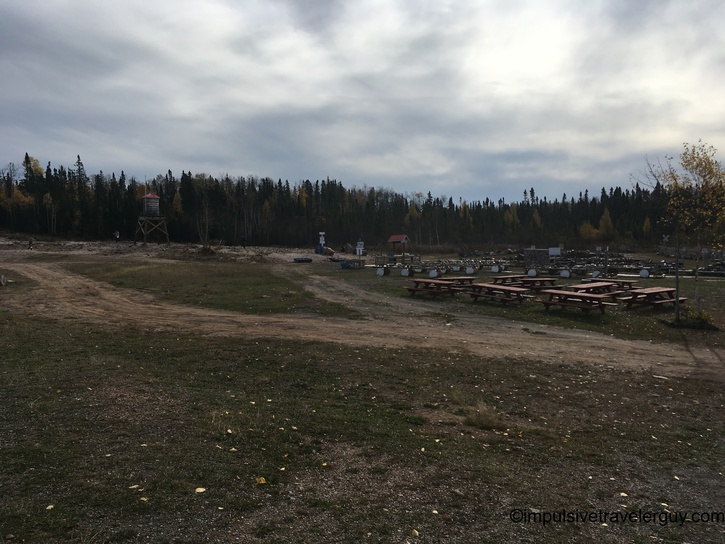 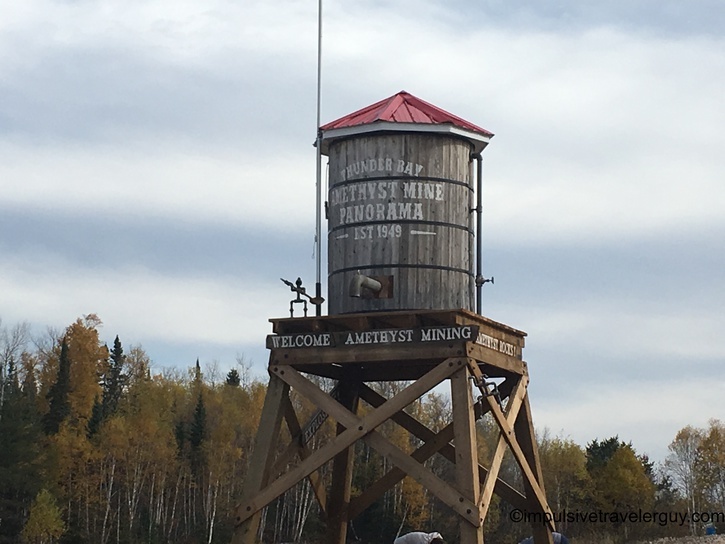 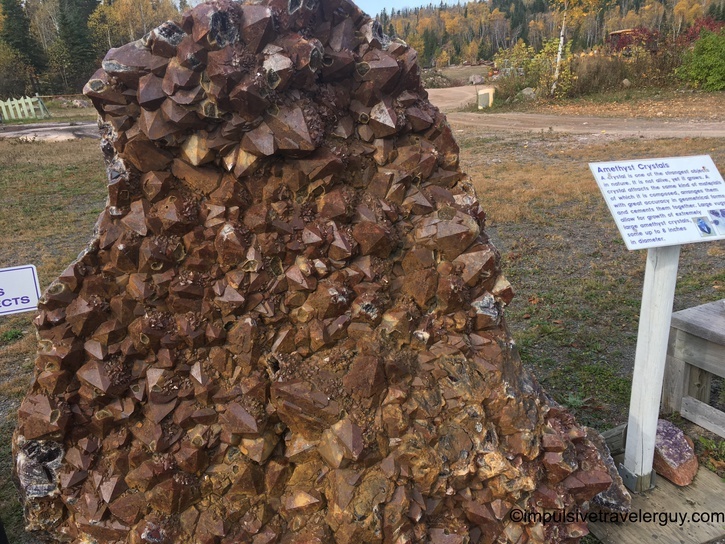 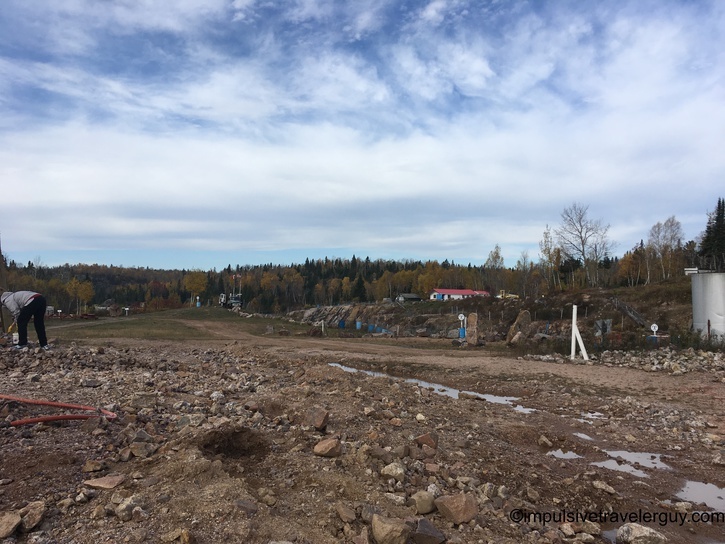 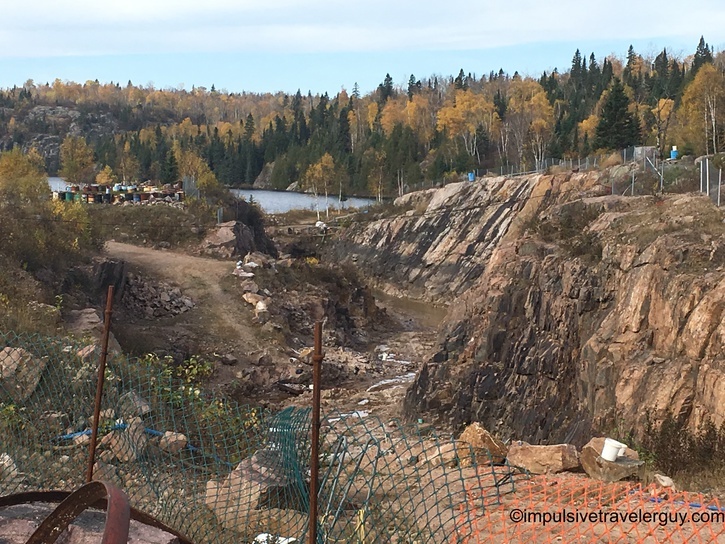 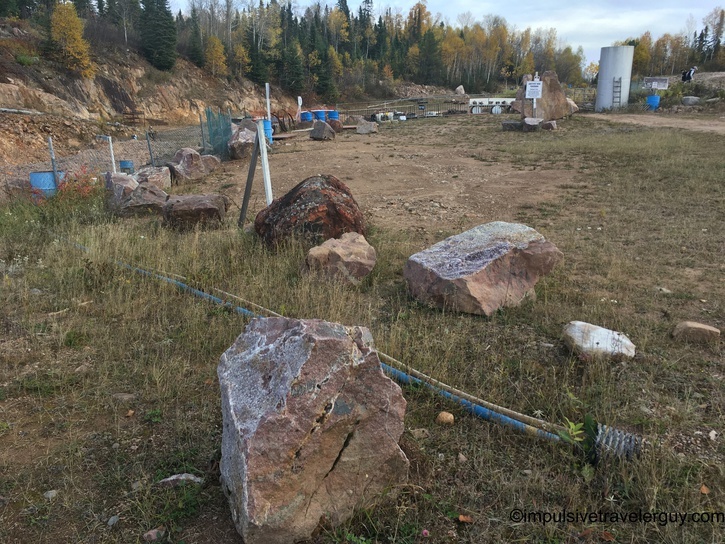 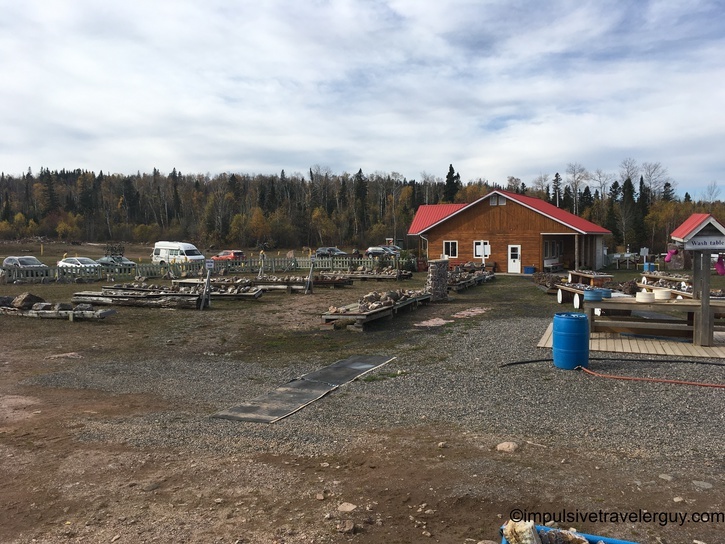 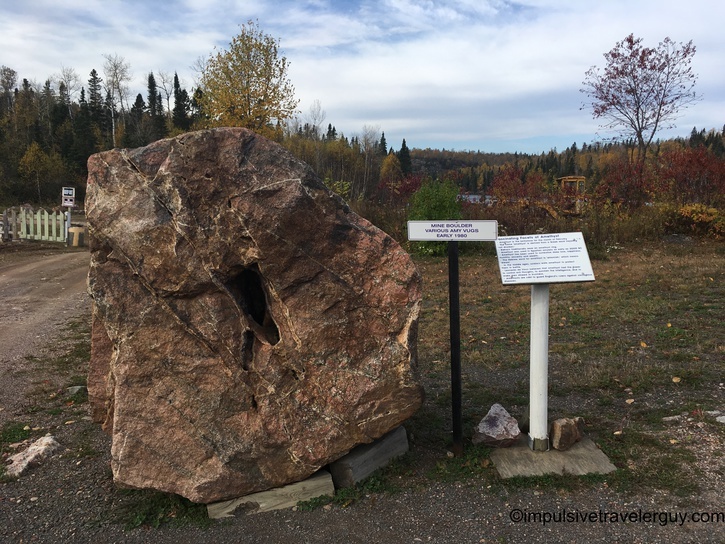 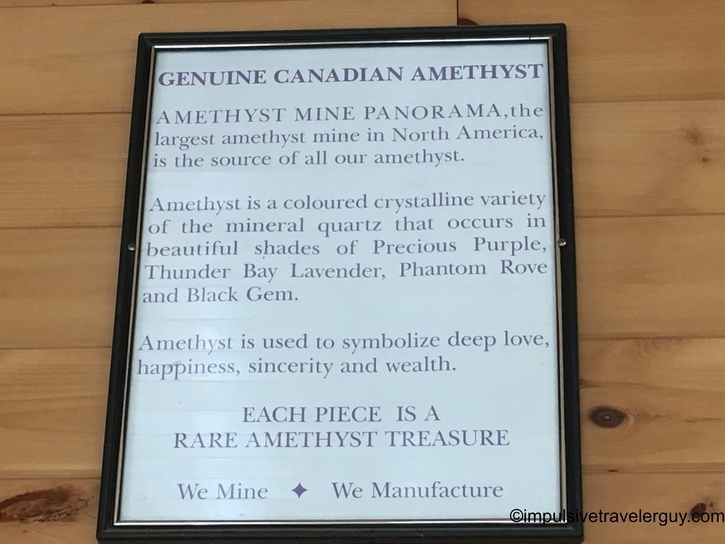 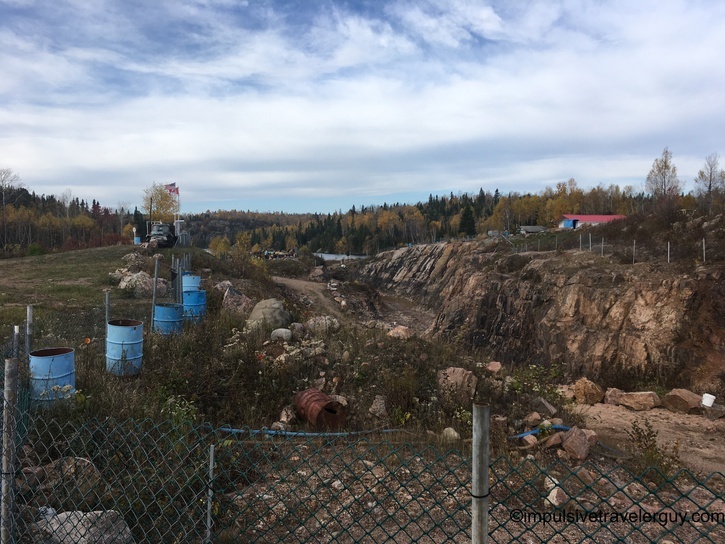 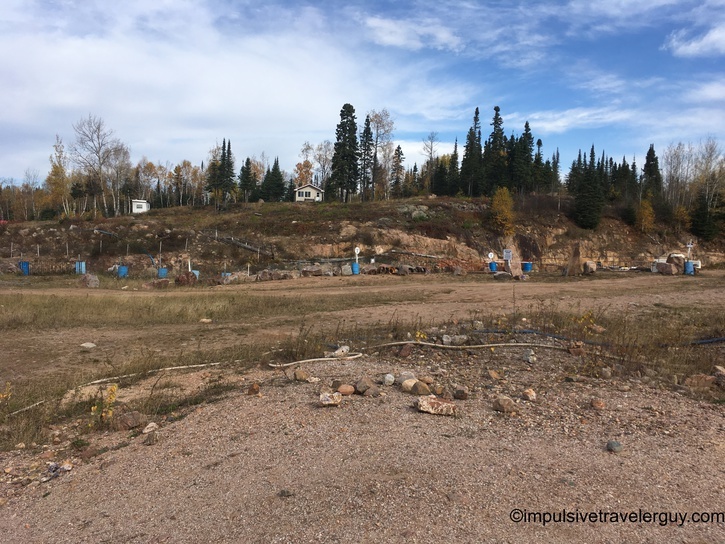 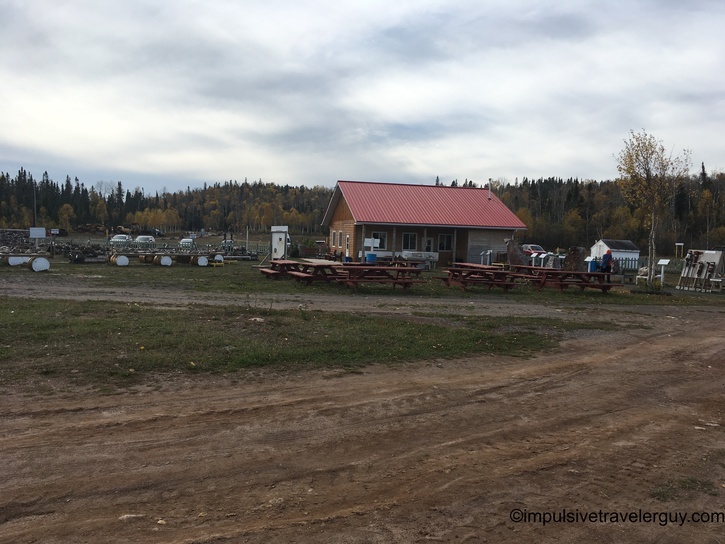 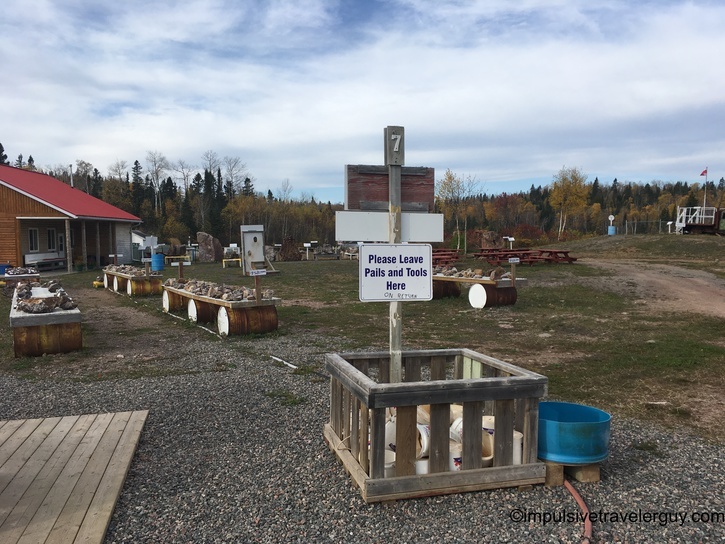 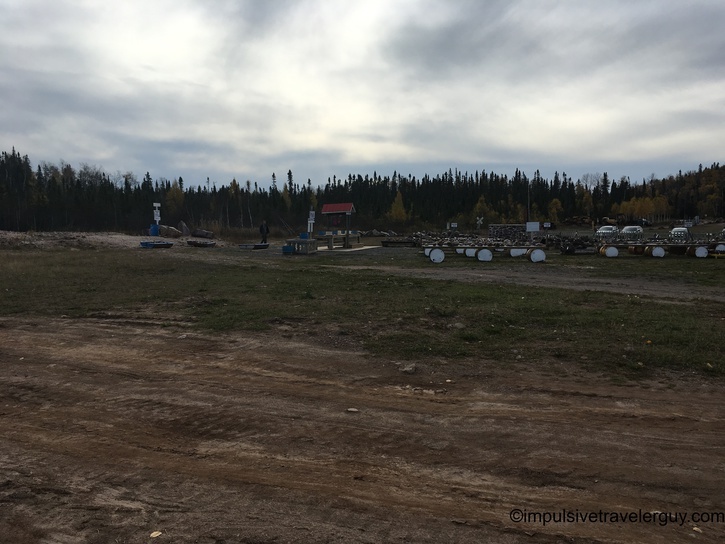 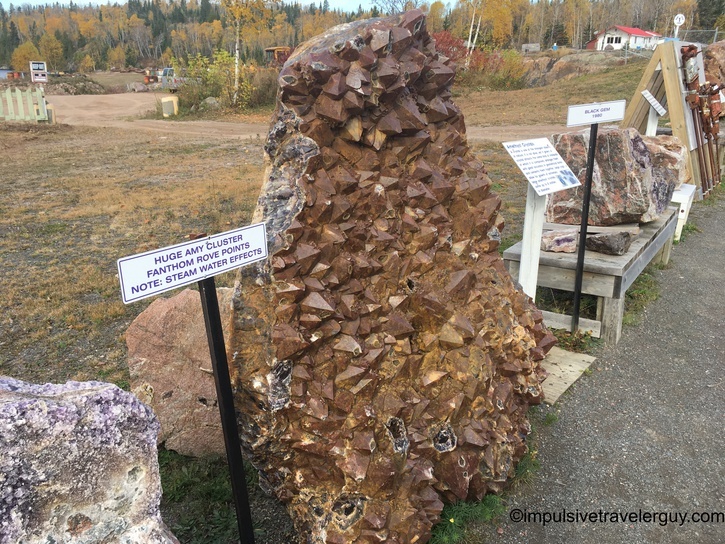 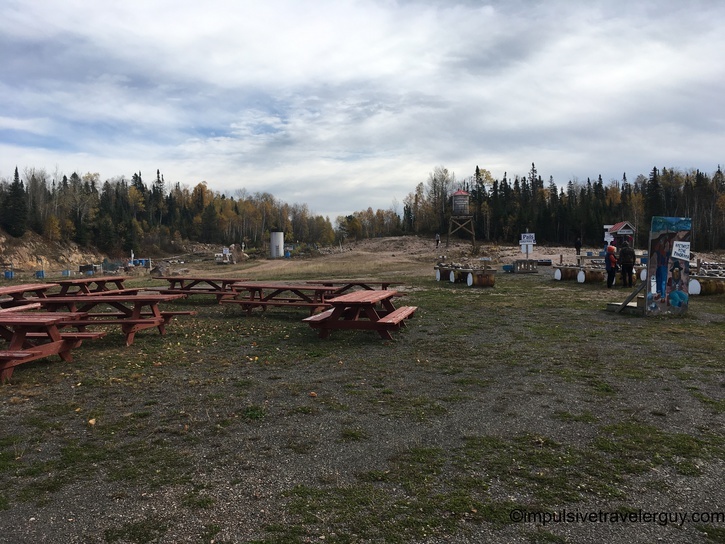 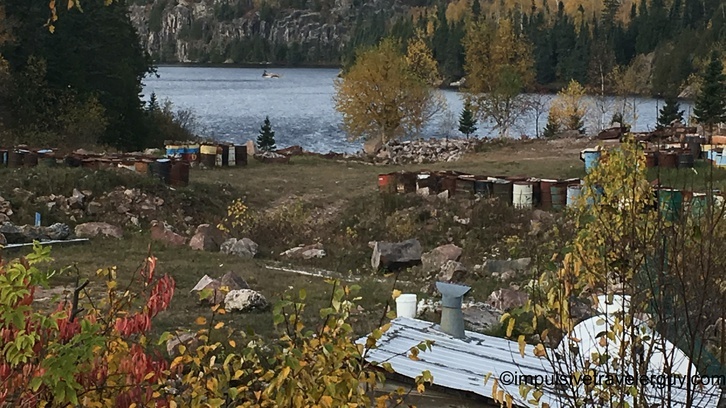 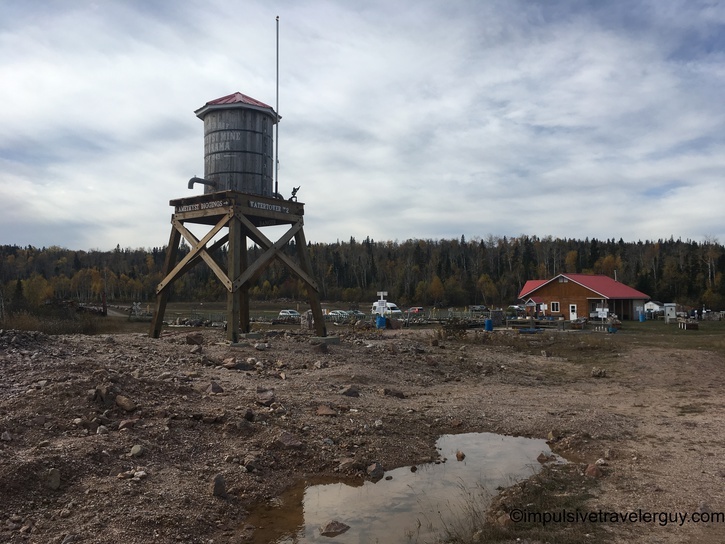 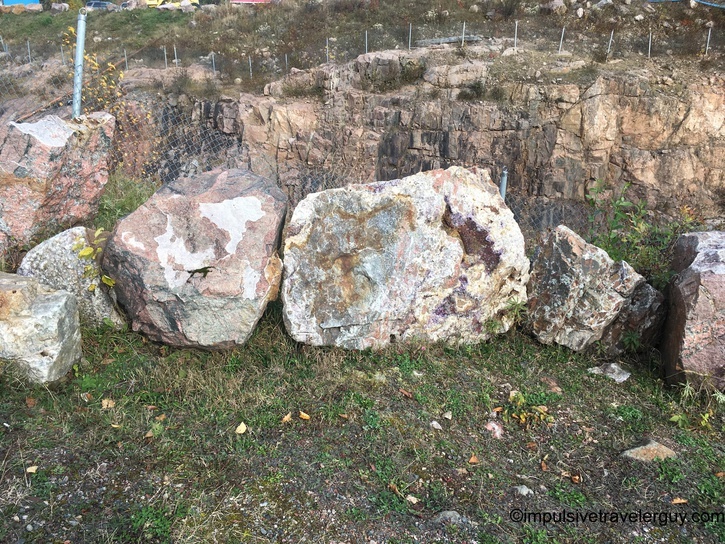 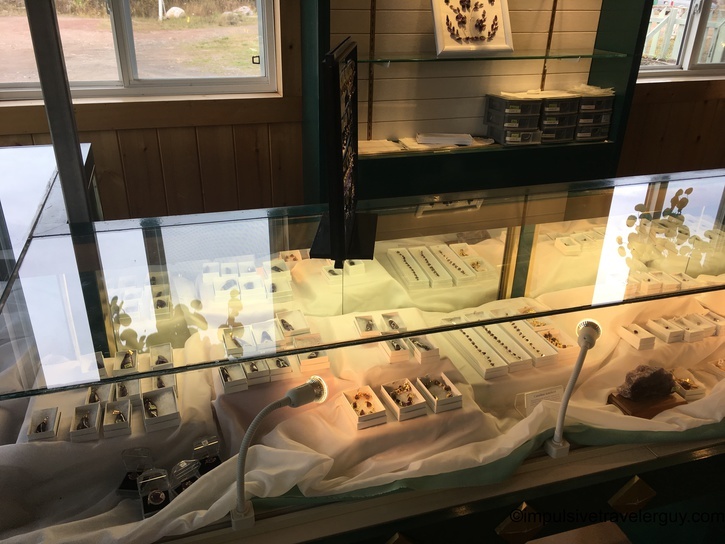 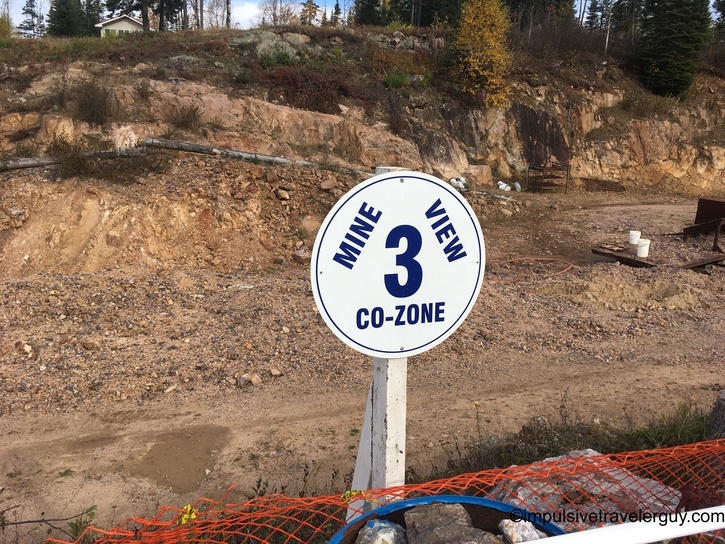 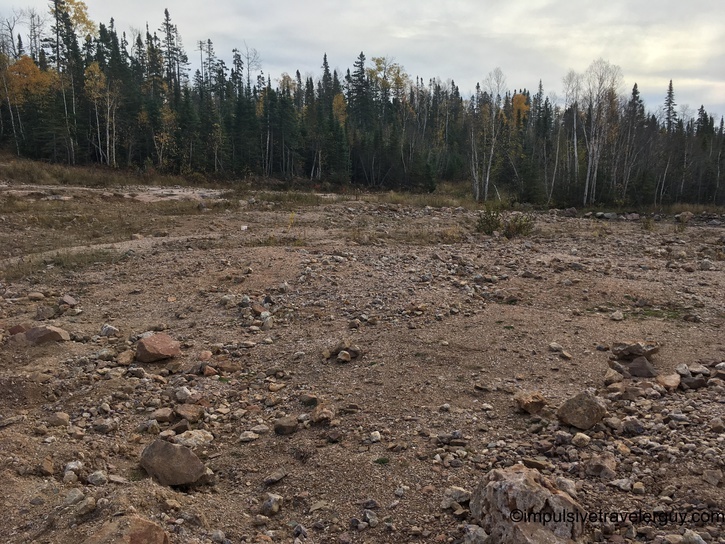 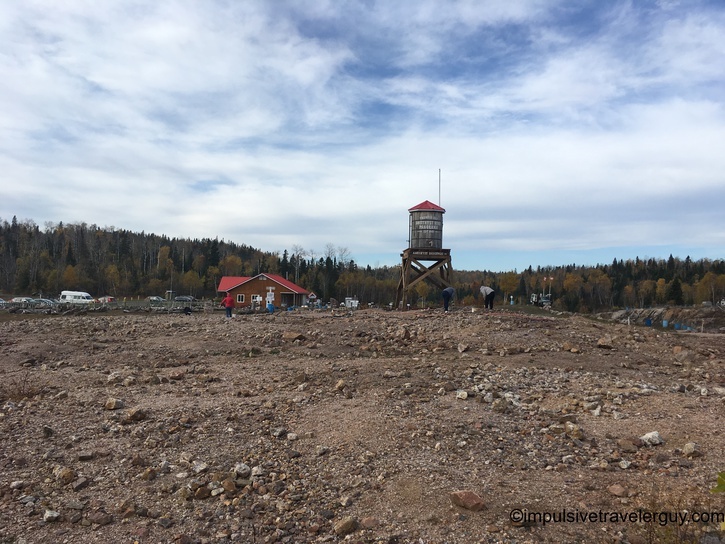 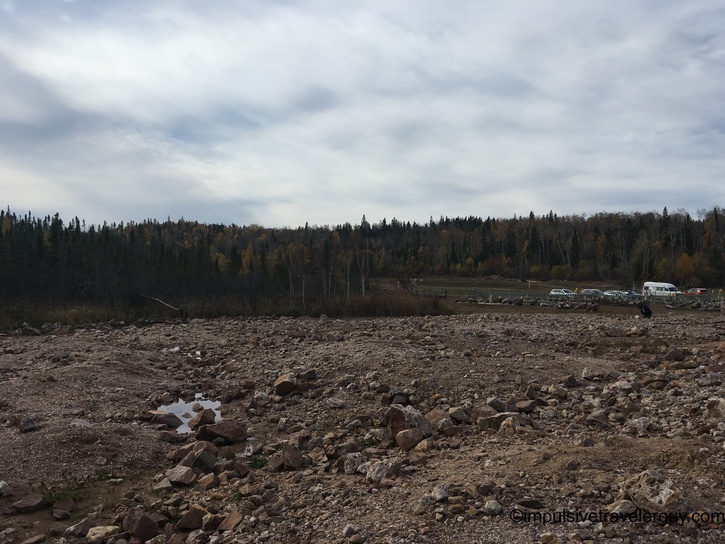 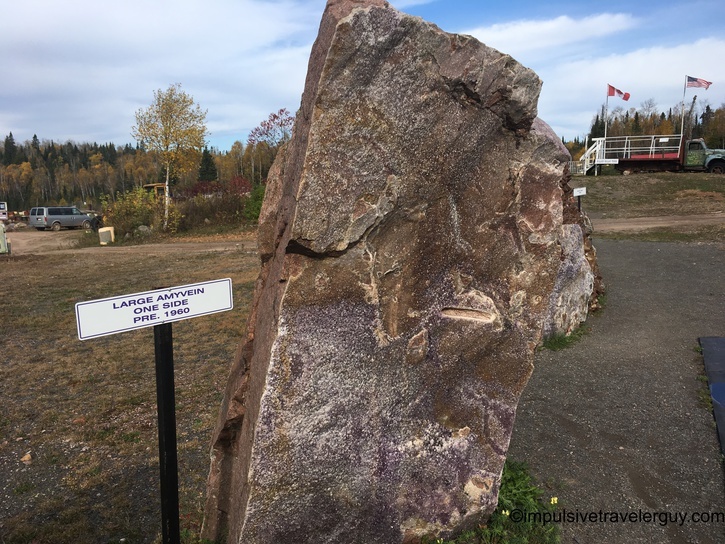 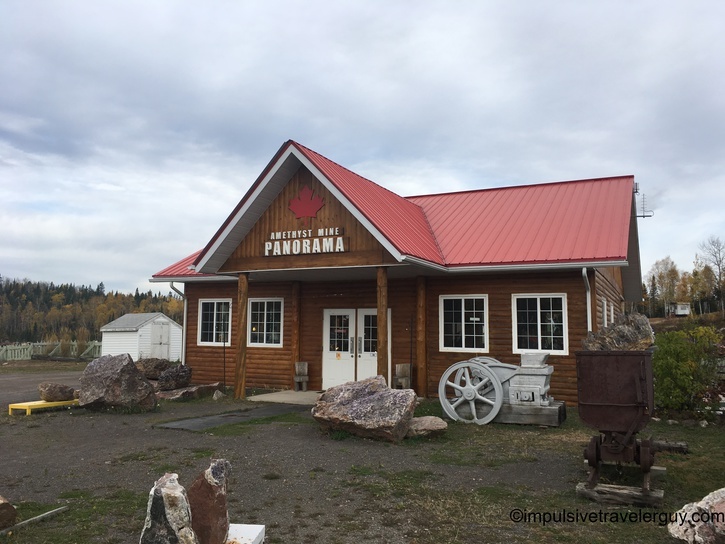 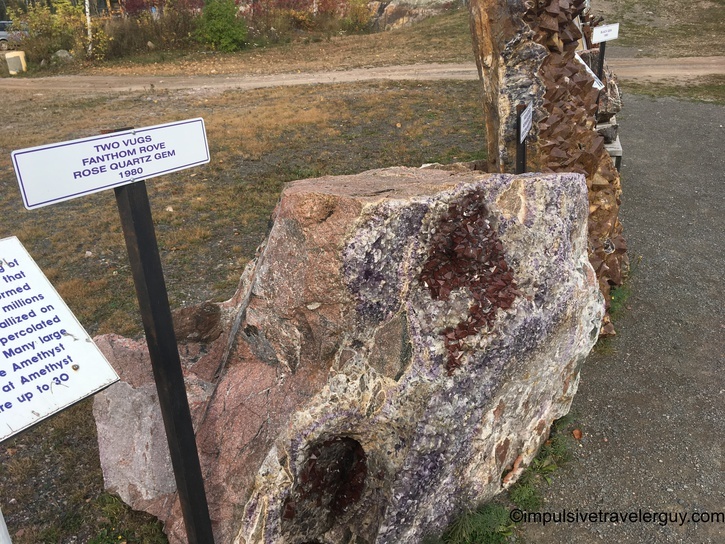 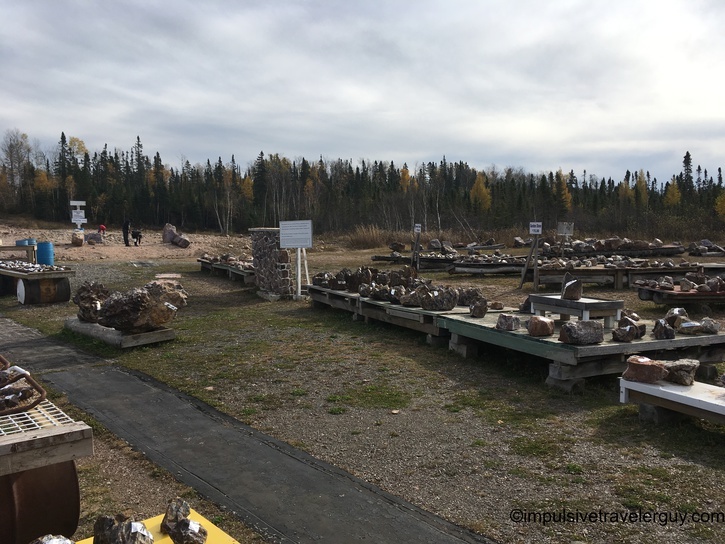 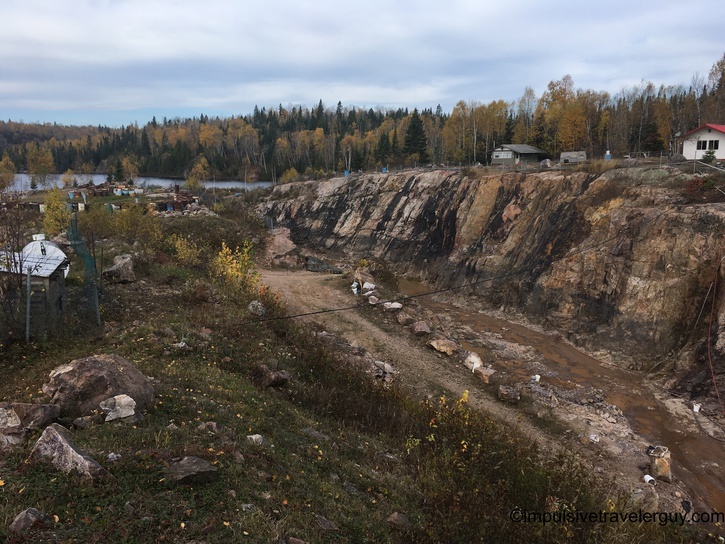 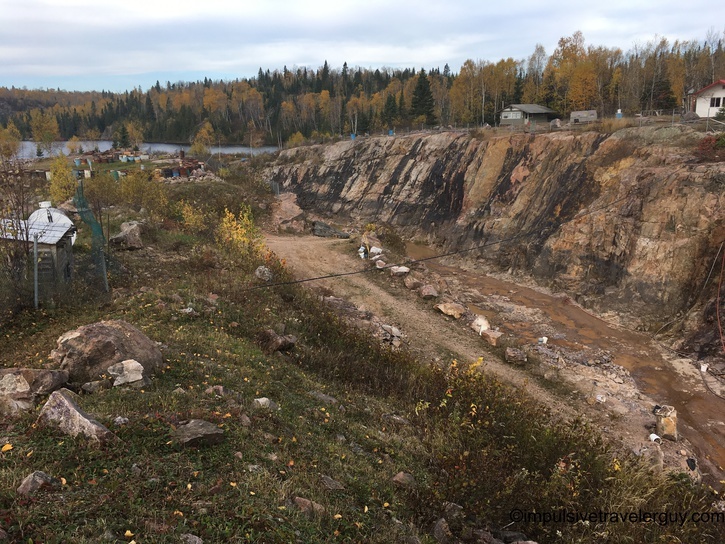 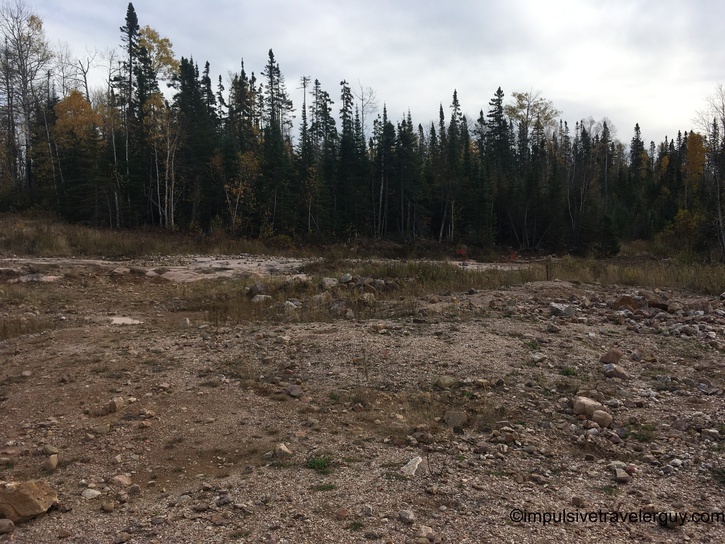 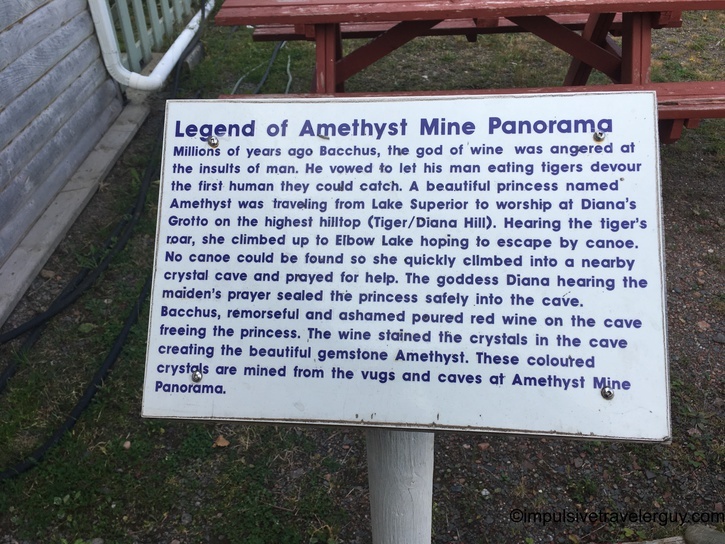 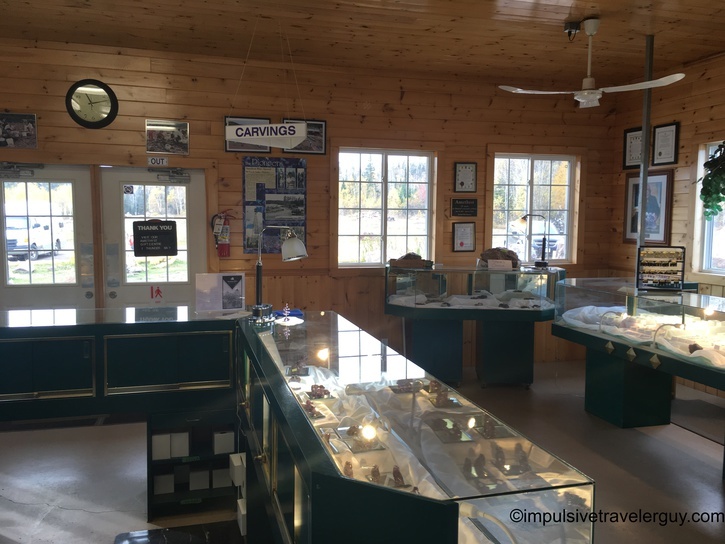 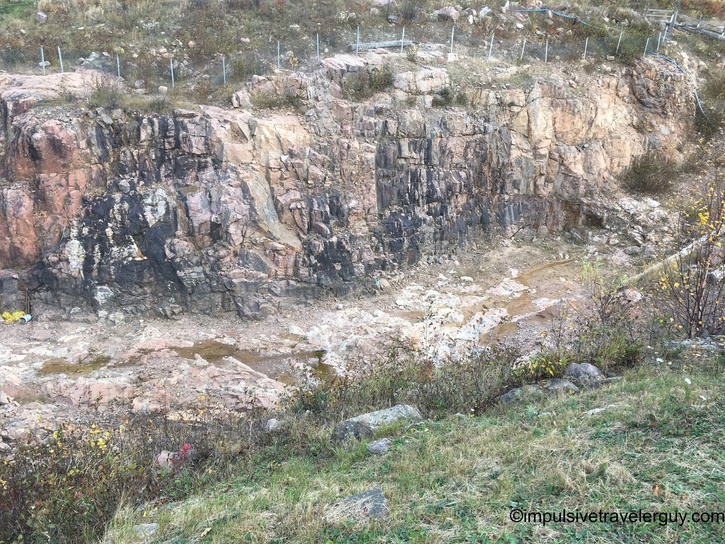 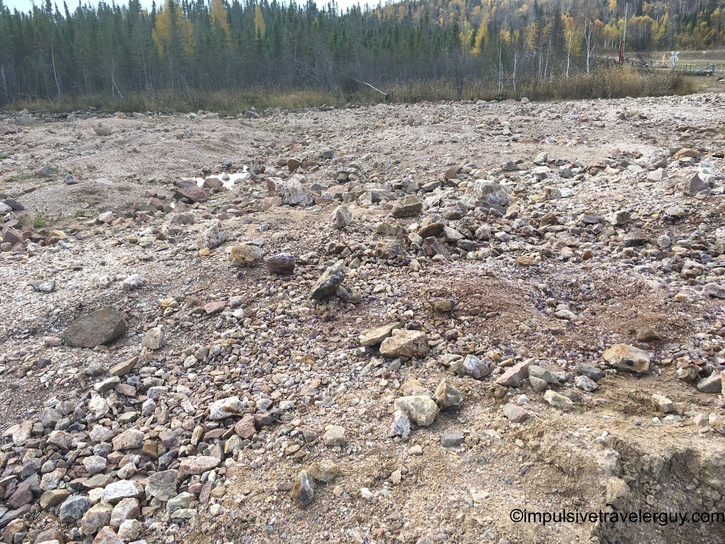 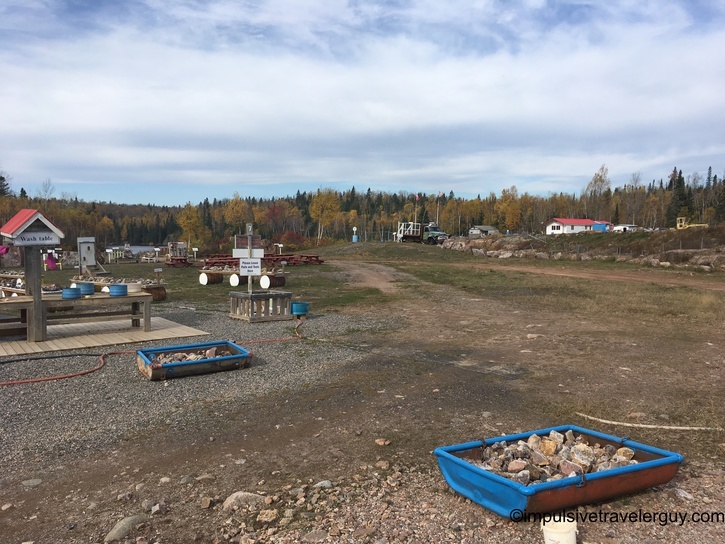 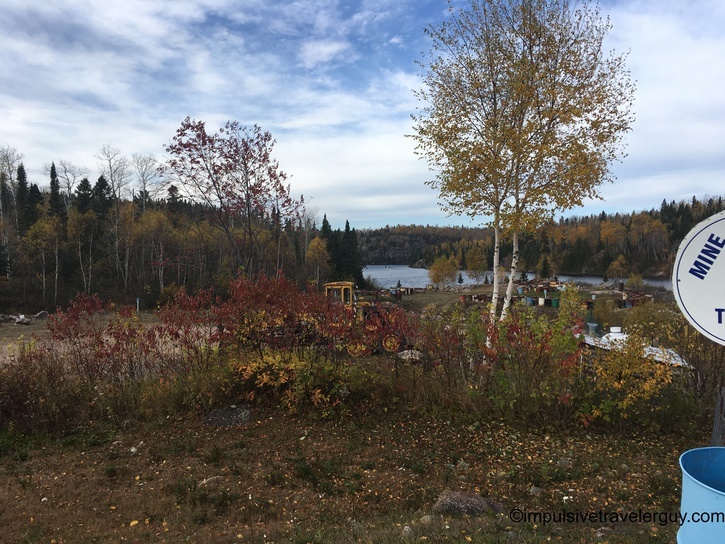 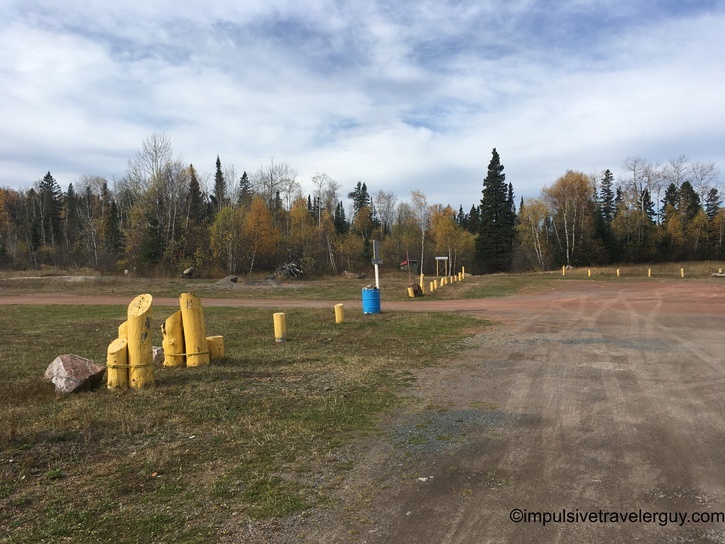 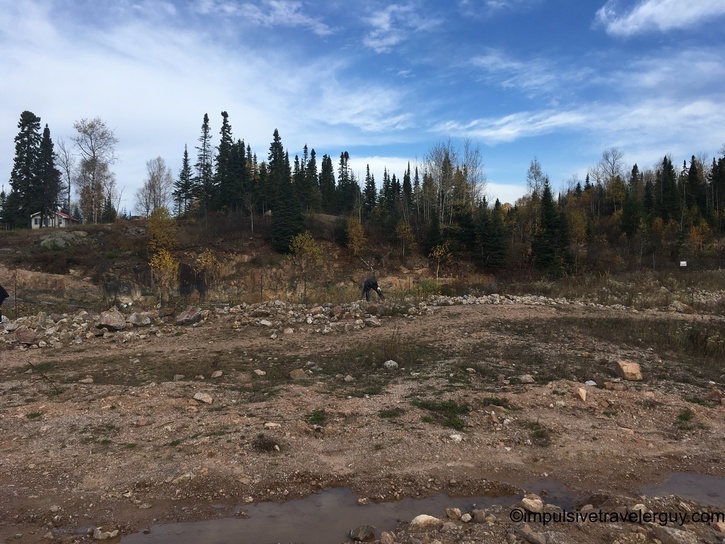 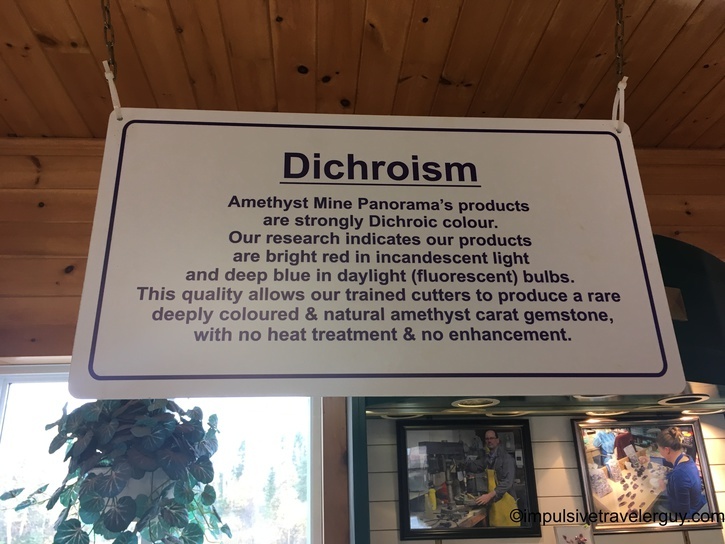 The Amethyst Mine Panorama is North America’s largest amethyst mine and is located a little outside of Thunder Bay, Ontario. 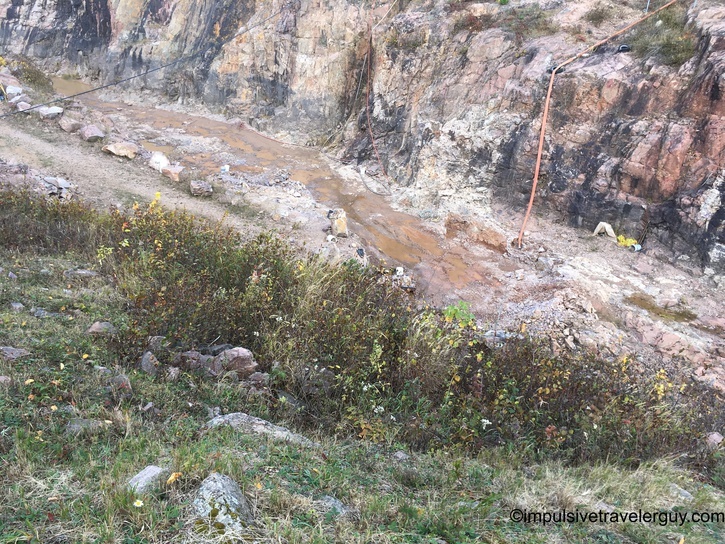 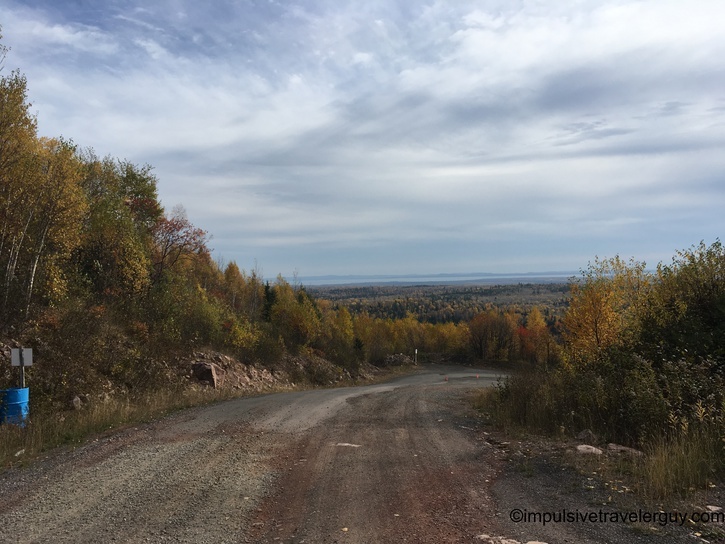 To get to this mine, you have to take a bunch of back roads and ultimately an unpaved private road to get there. 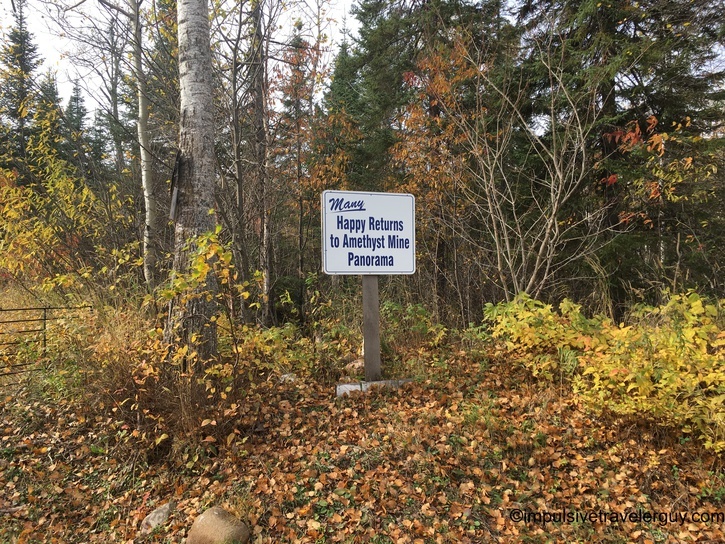 Ironically, as I was driving down the road, I got behind a van that had Wisconsin plates. 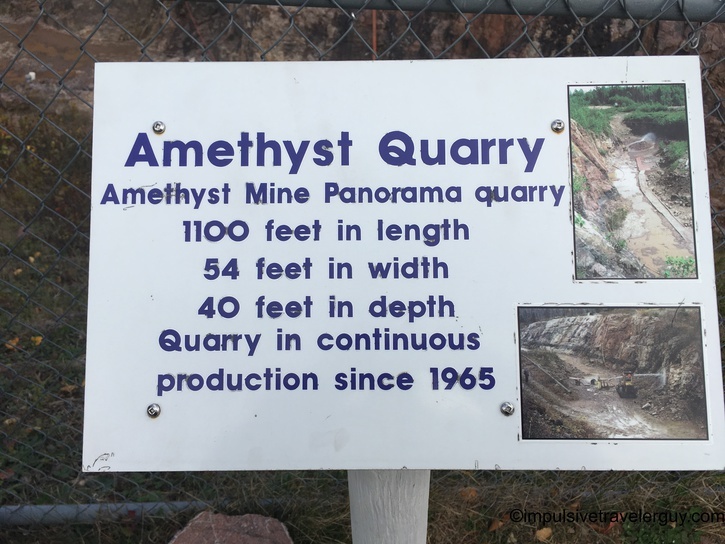 I found out they were from the Madison area and they actually had a daughter that lived in Austin. 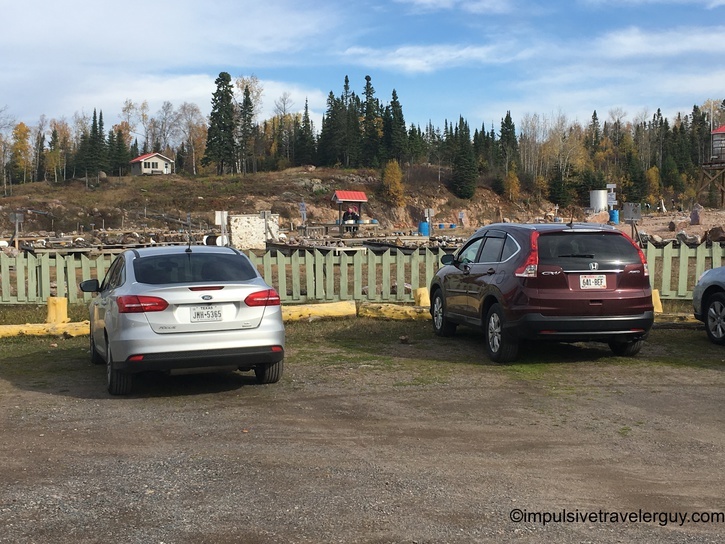 It’s pretty ironic that we were both in Canada at the same time in the same place. 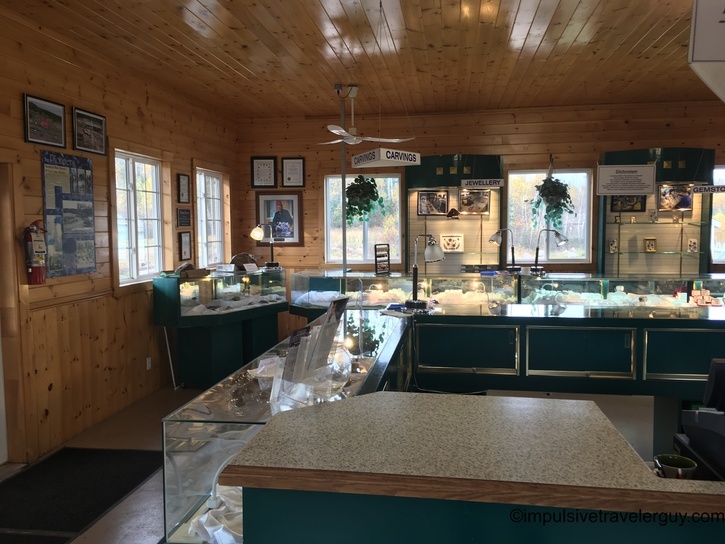 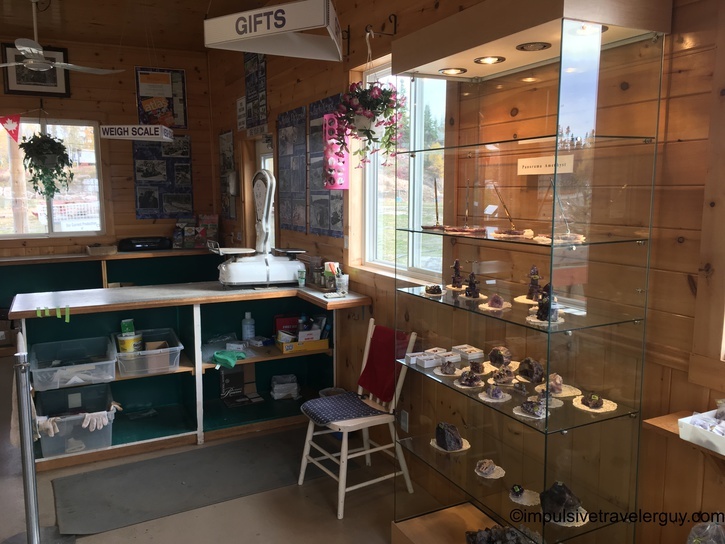 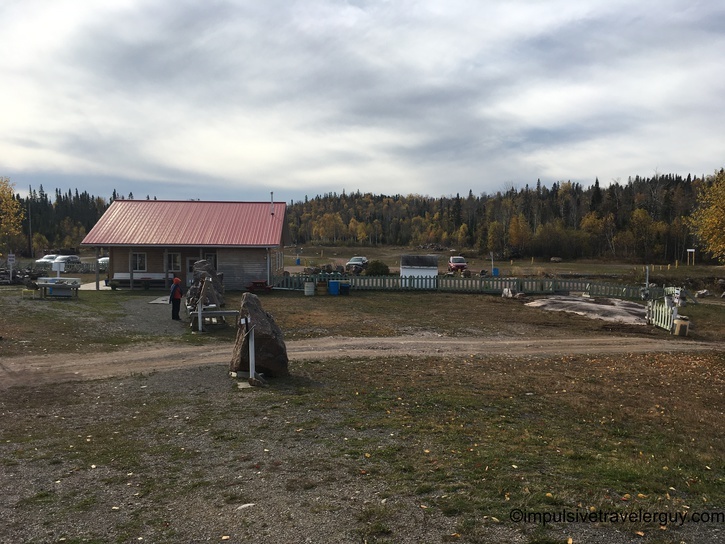 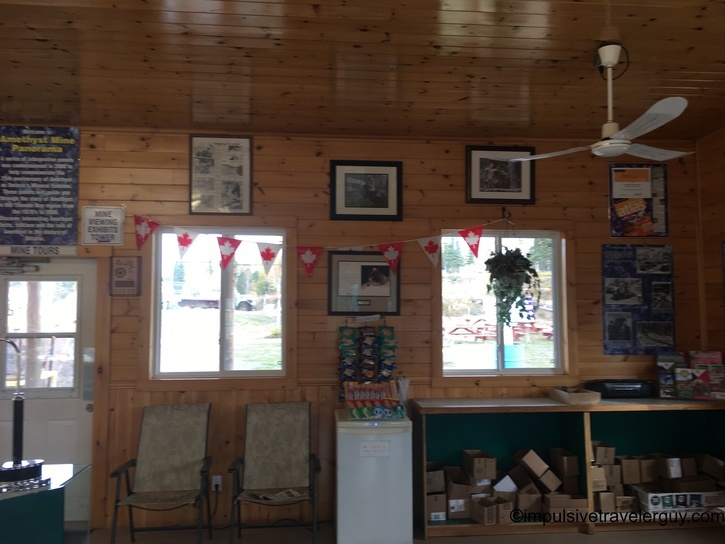 The building for the mine gift shop and where you pay for the tours is a small building that is a short walk from the parking lot. 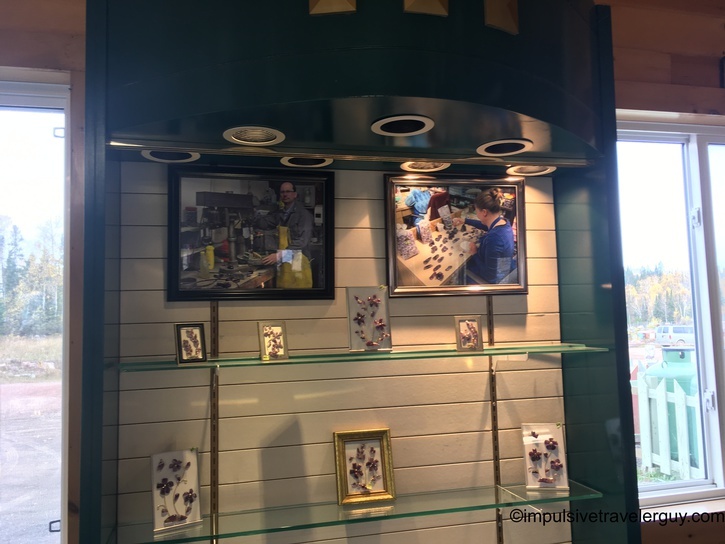 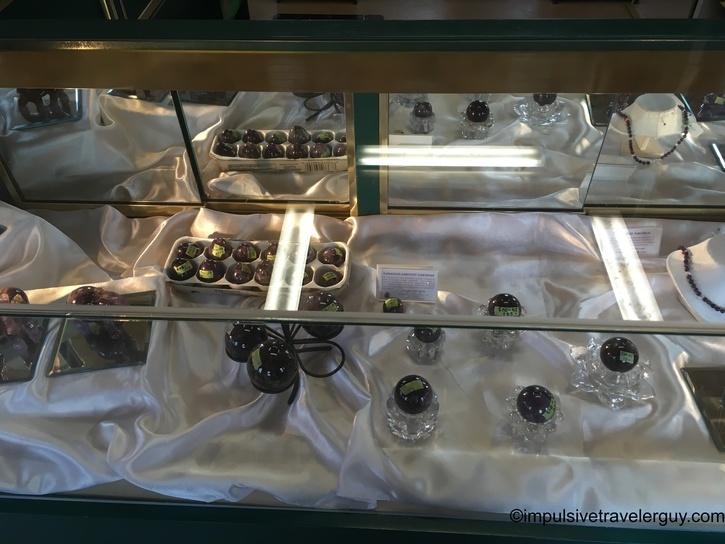 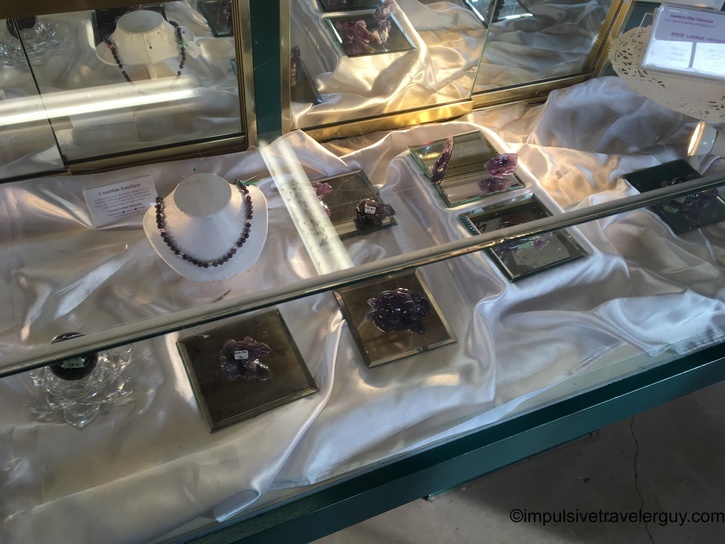 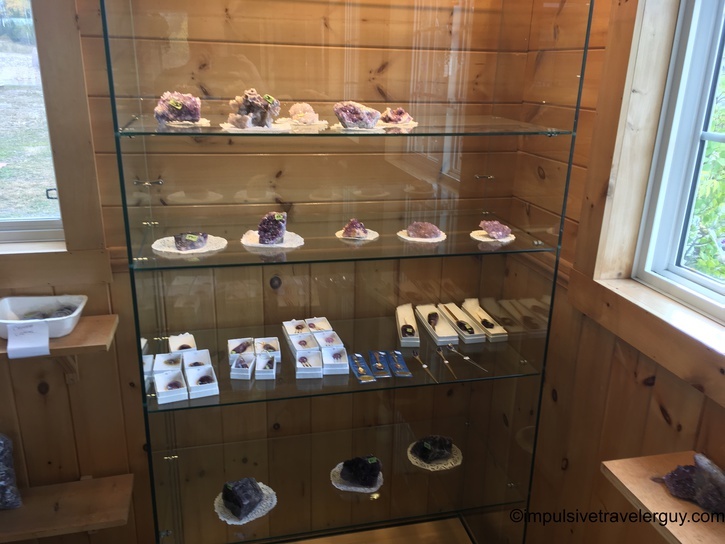 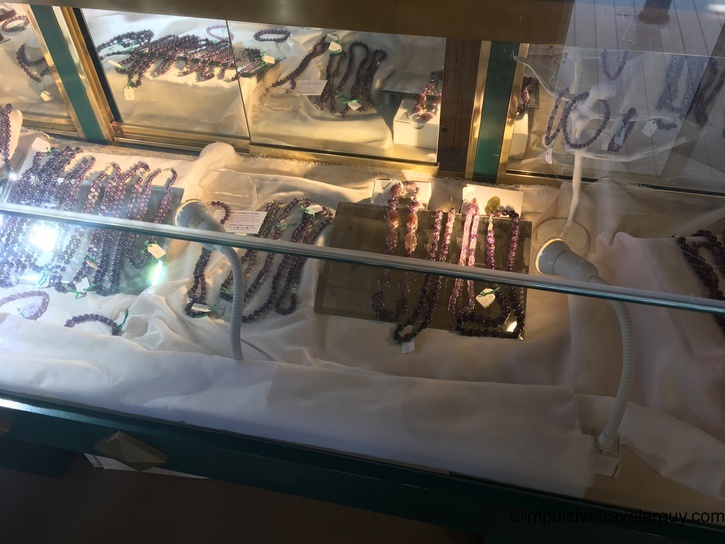 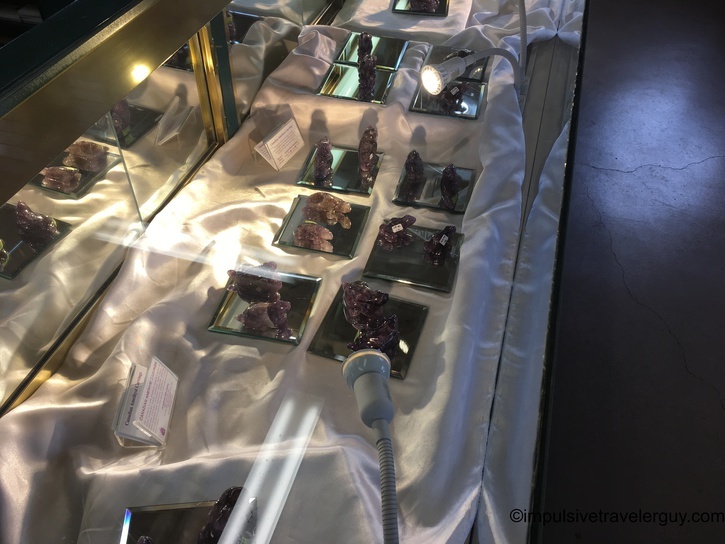 In that building, they have a bunch of items that are crafted out of amethyst. 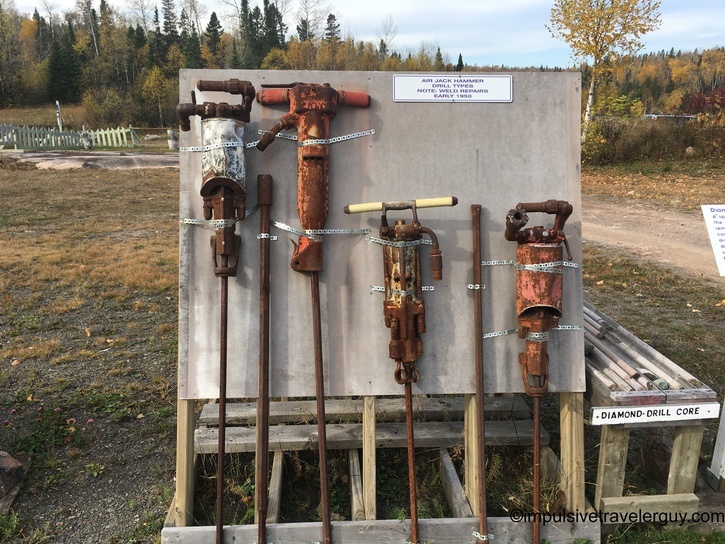 Looking at some of the stuff, it was clear the artists who made these things did some good work! 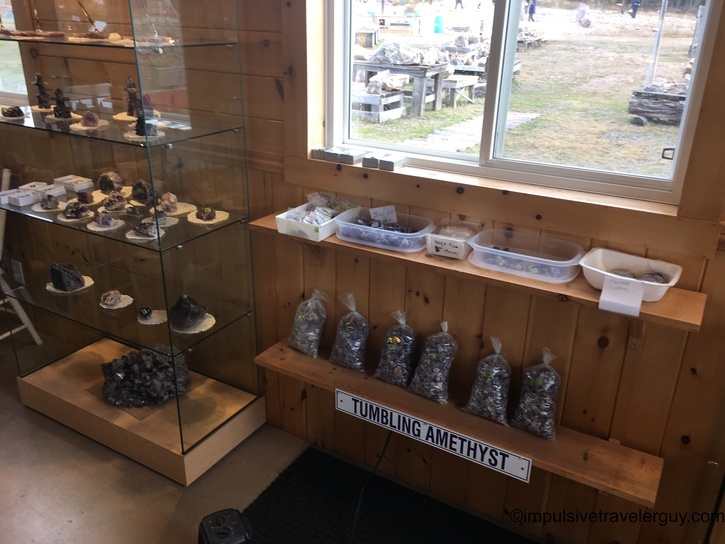 After the lady who worked there sent the group of people off on their self-guided tour of the mine, I worked with her to buy what I needed (more on this in a future blog entry). 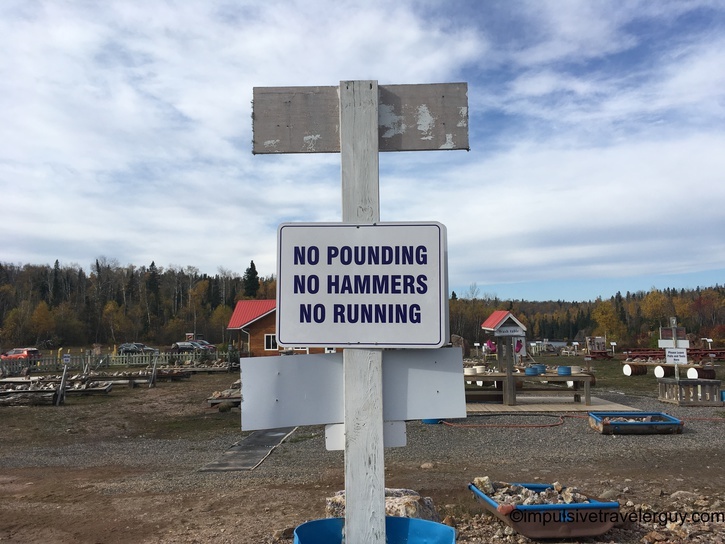 I was happy to find what I needed and then bought it. 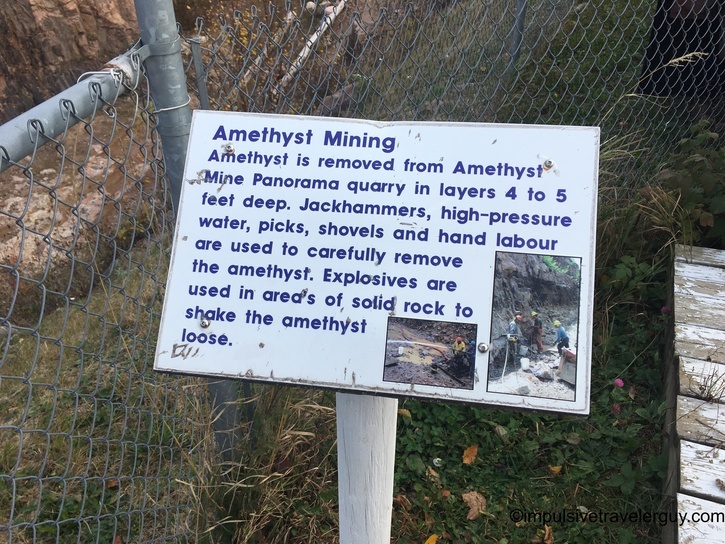 After securing it in my car, I decided to take a tour of the mine itself. 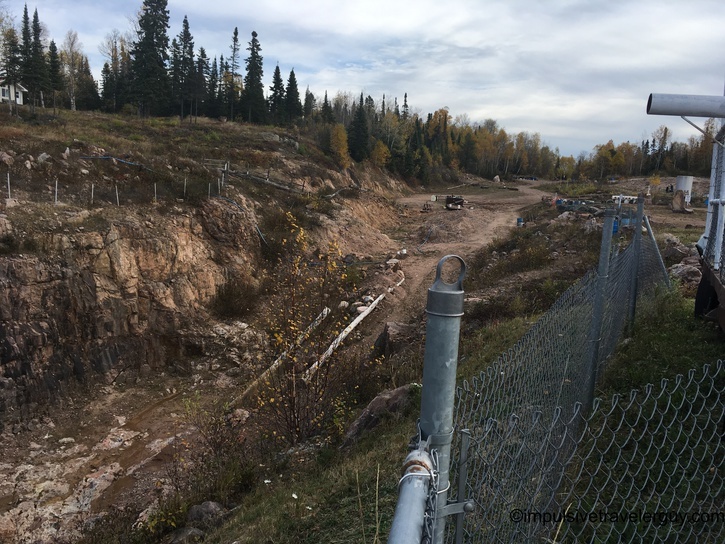 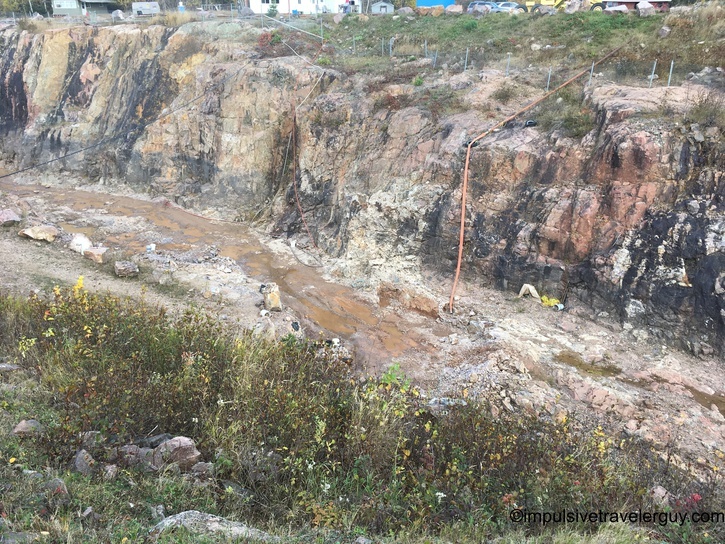 As you will see by the pictures below, the actual mine is open and they use heavy equipment to break apart the rocks. 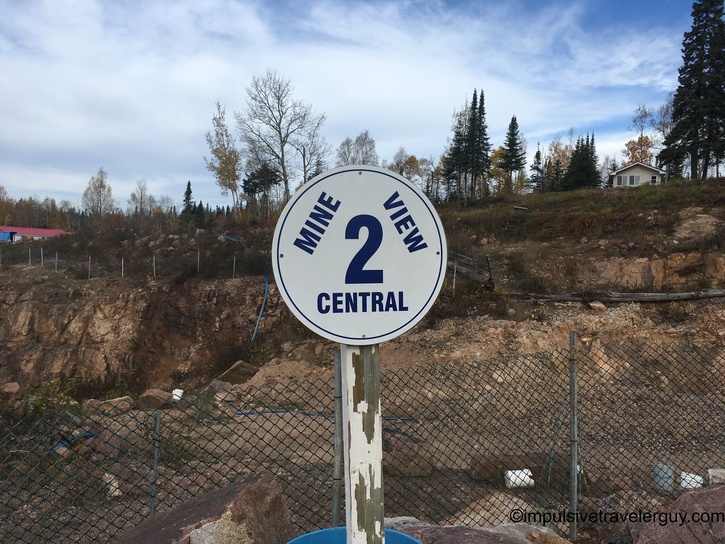 You do not get to actually go in this part of the mine, but they did do a great job in creating a view of it and you could actually watch them with the heavy equipment (the fall colors were also great). 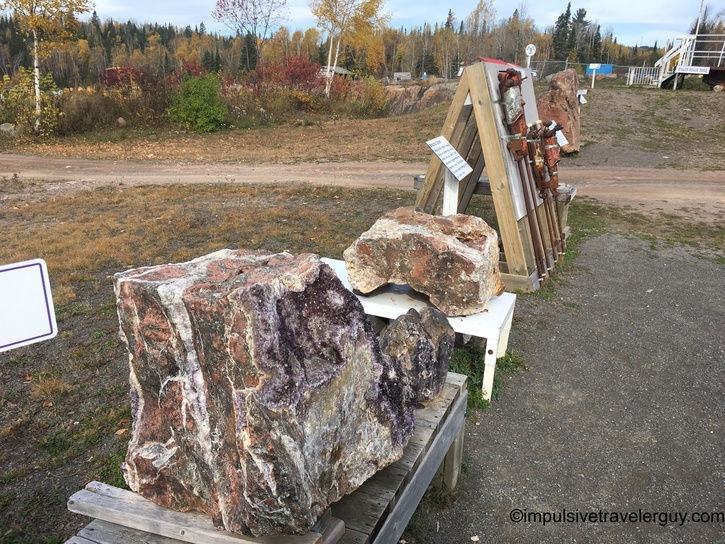 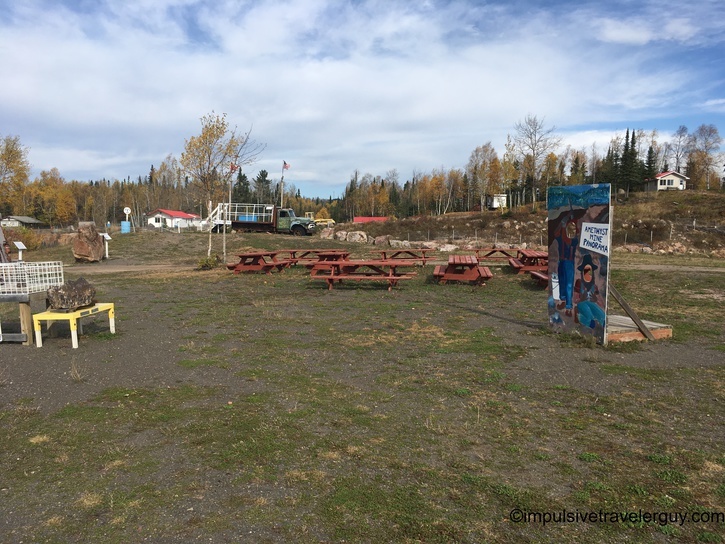 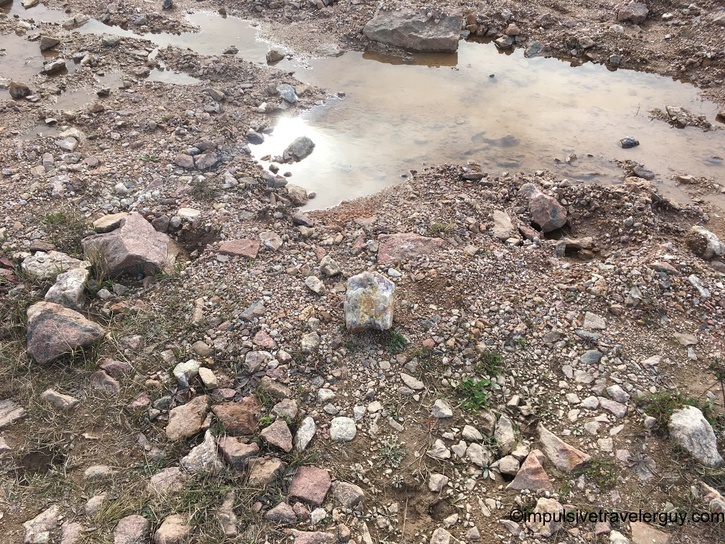 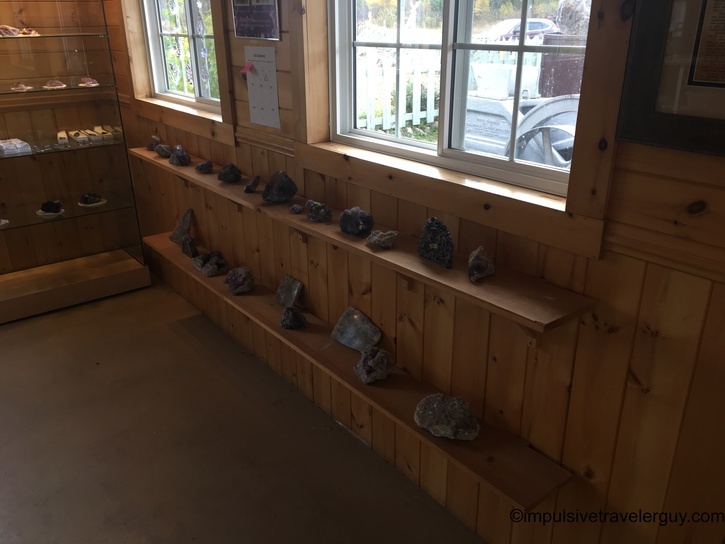 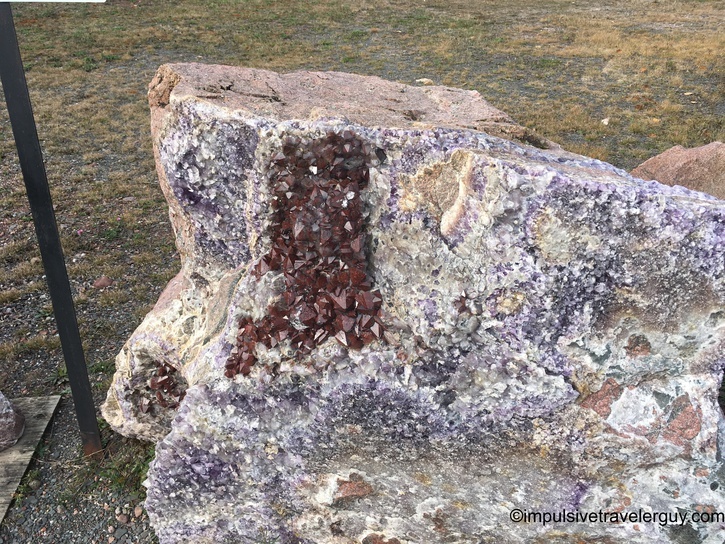 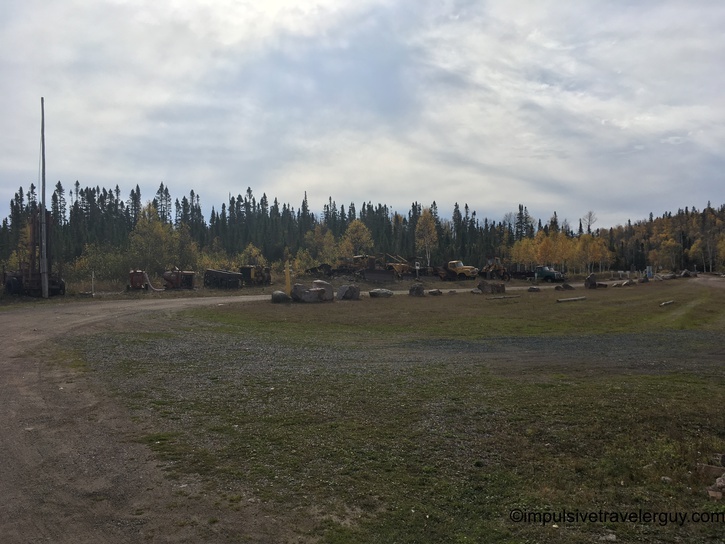 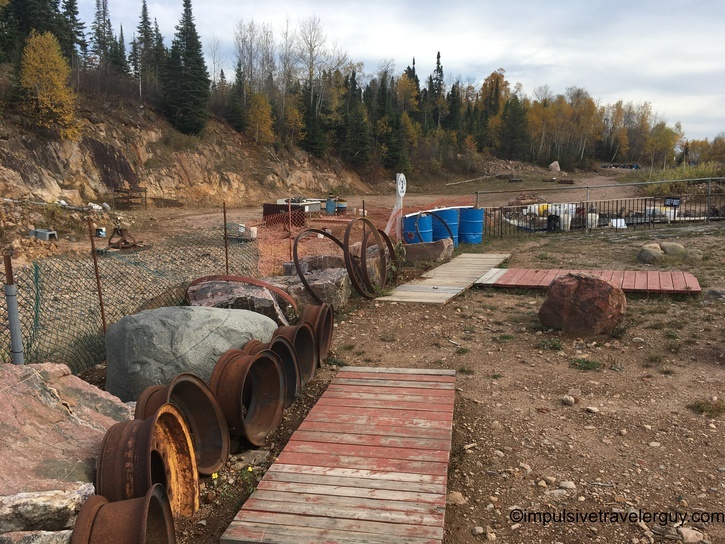 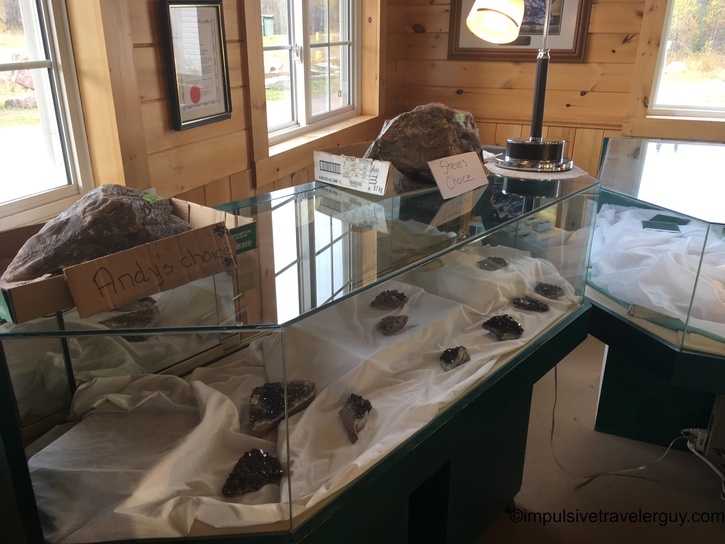 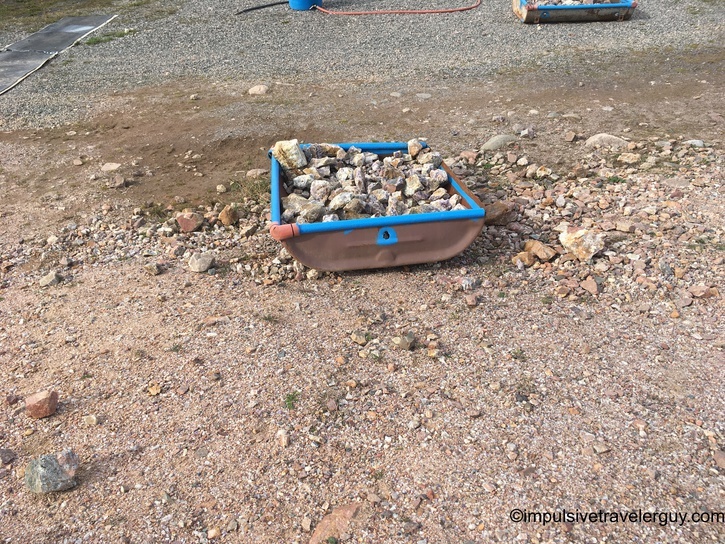 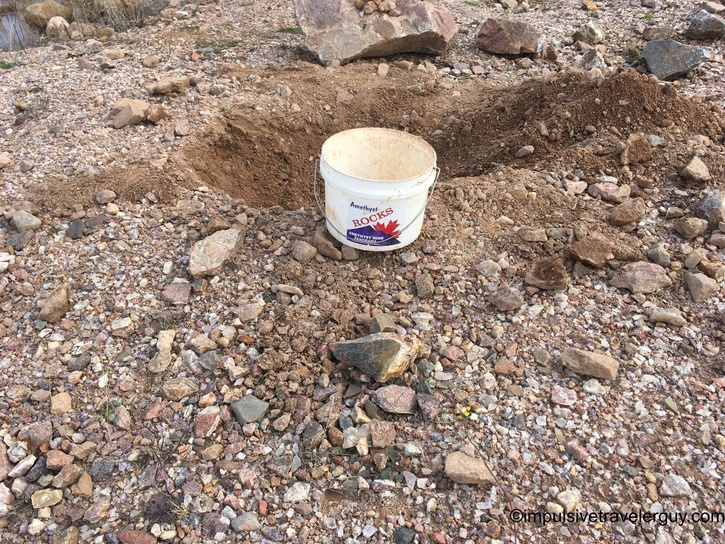 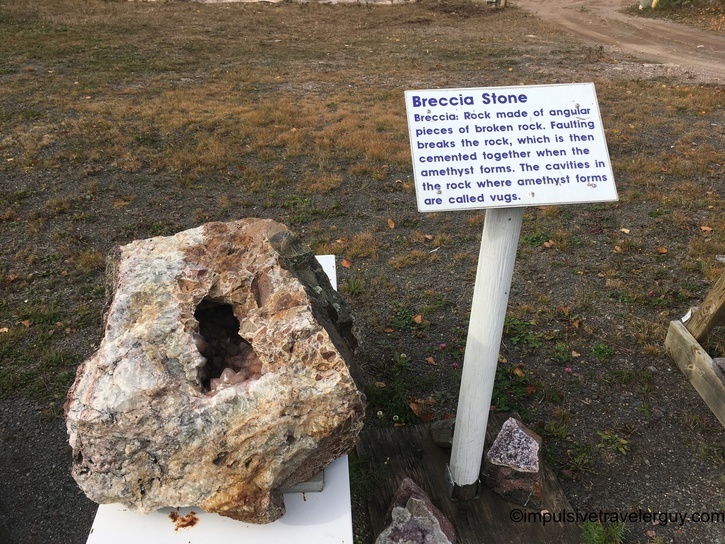 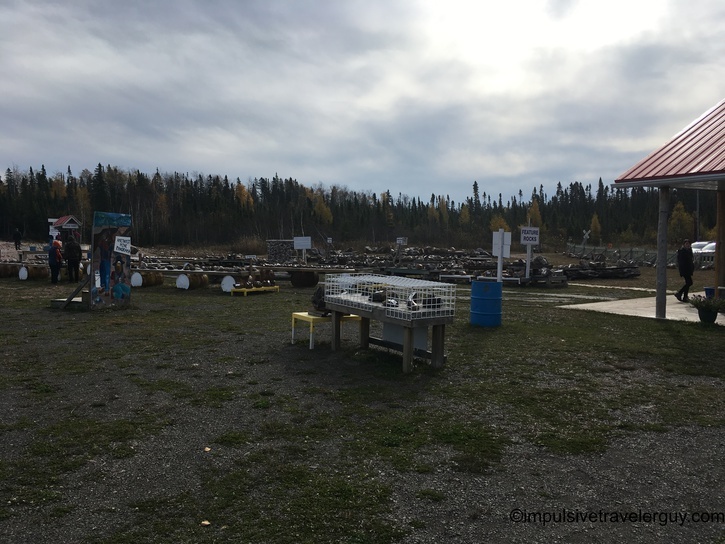 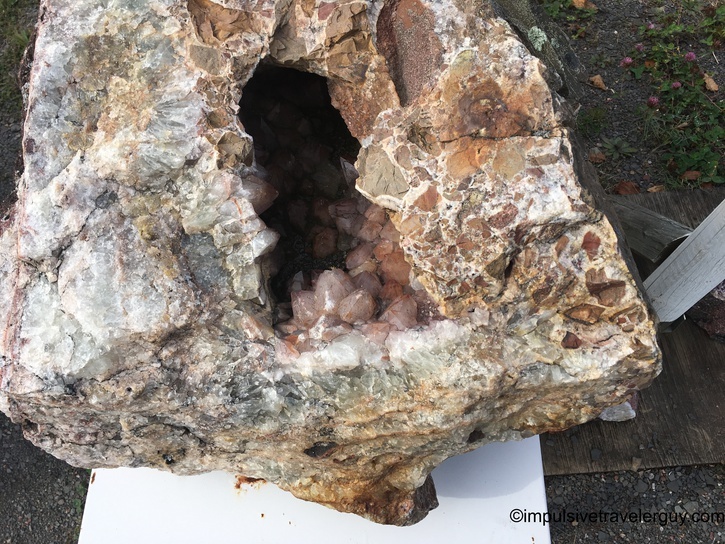 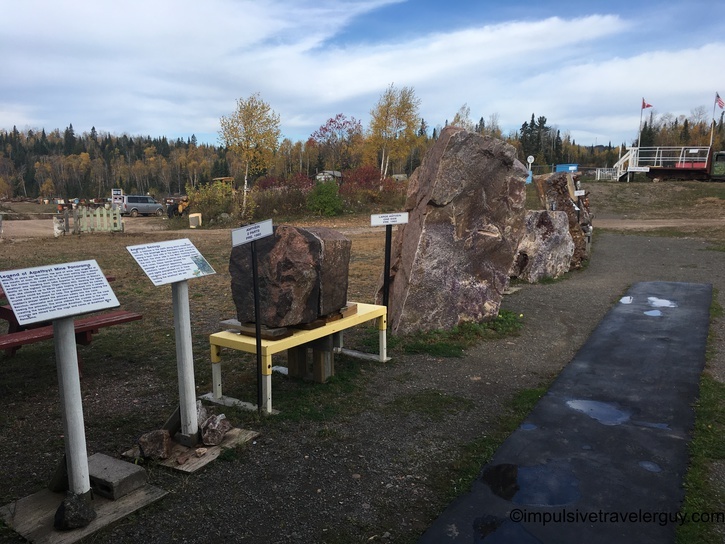 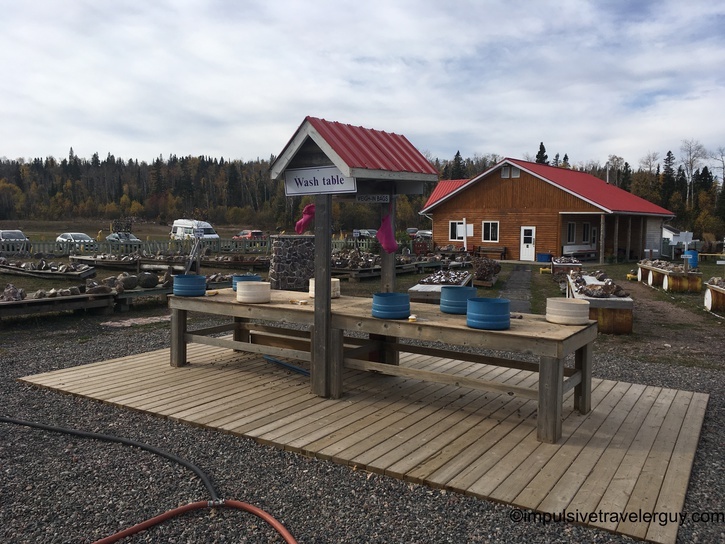 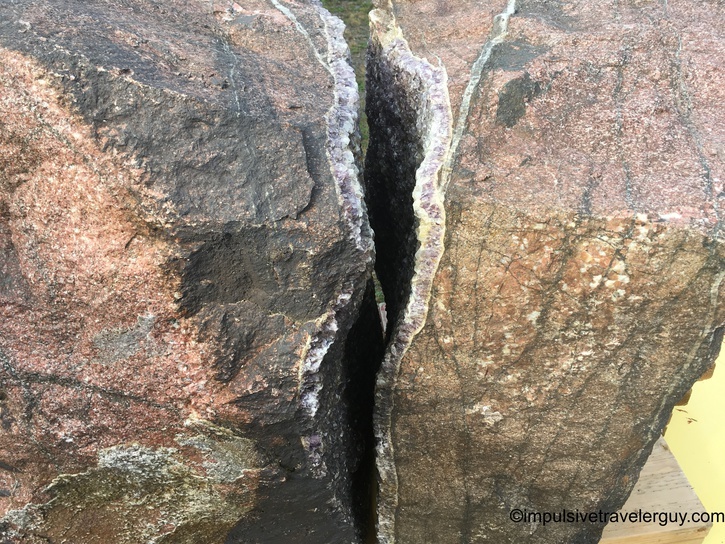 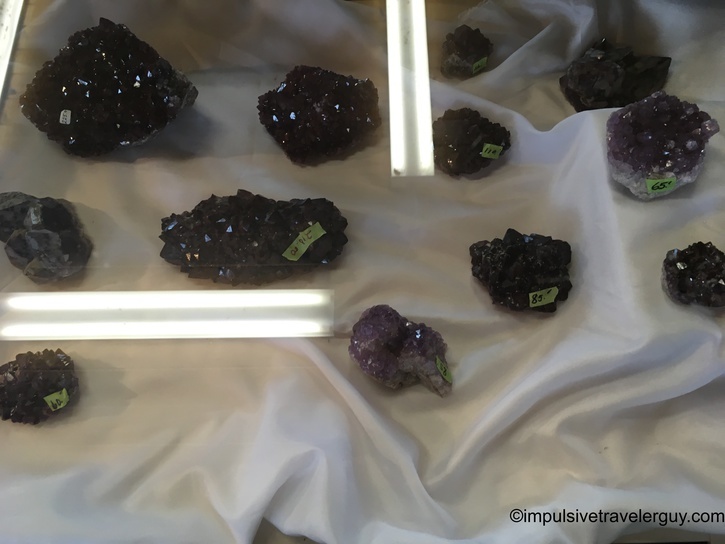 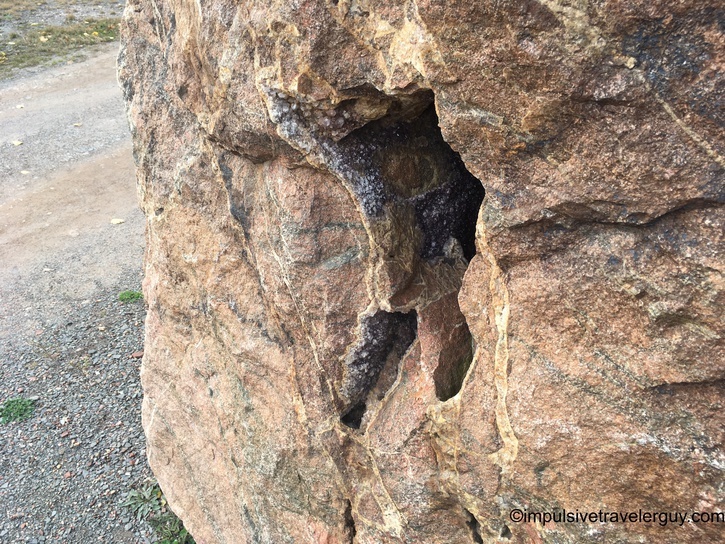 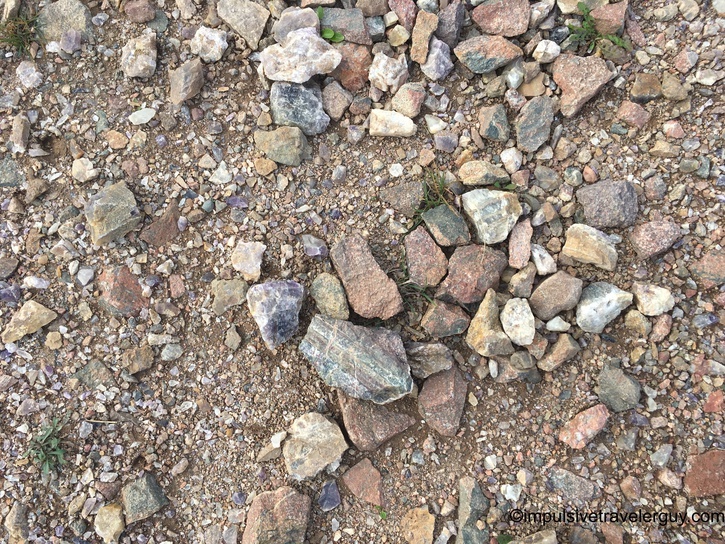 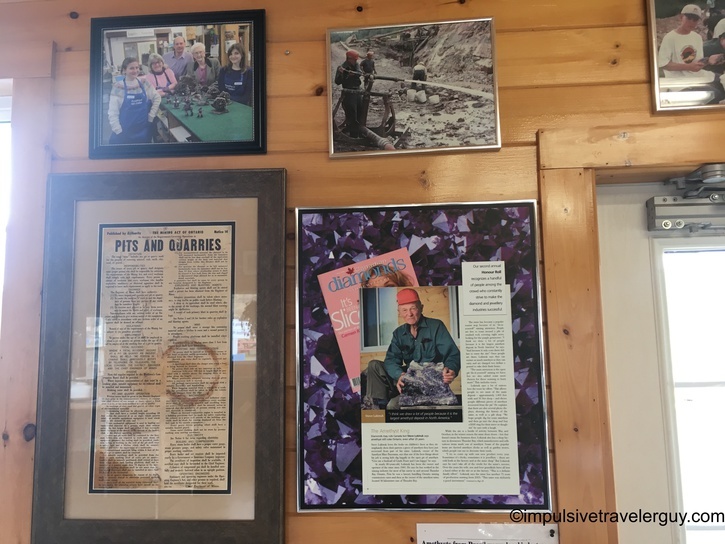 While you didn’t get to go into the main mine itself, they had broken apart a bunch of rocks into something that was easy to pick up and provided the hand tools to mine the amethyst from those smaller rocks. 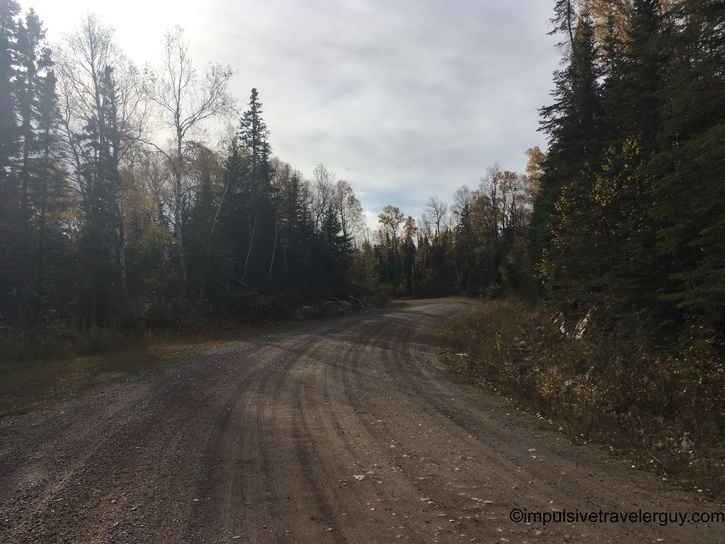 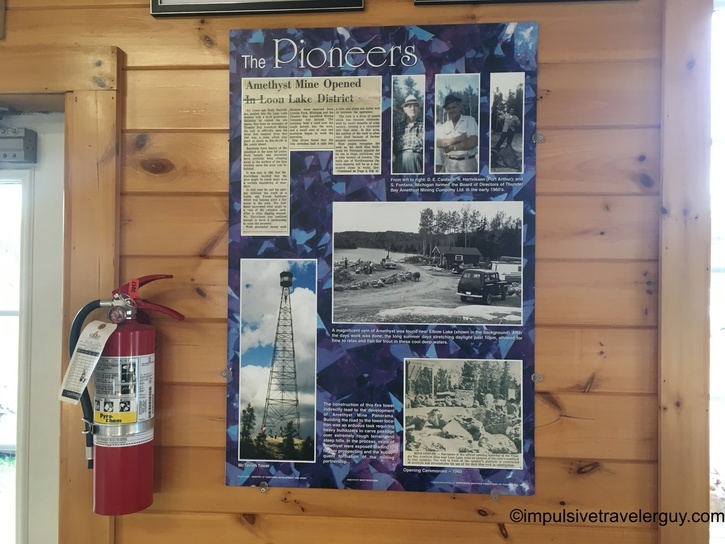 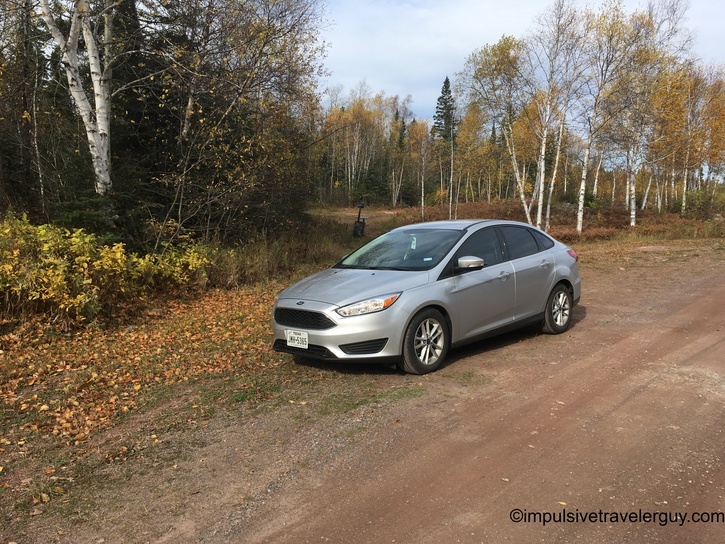 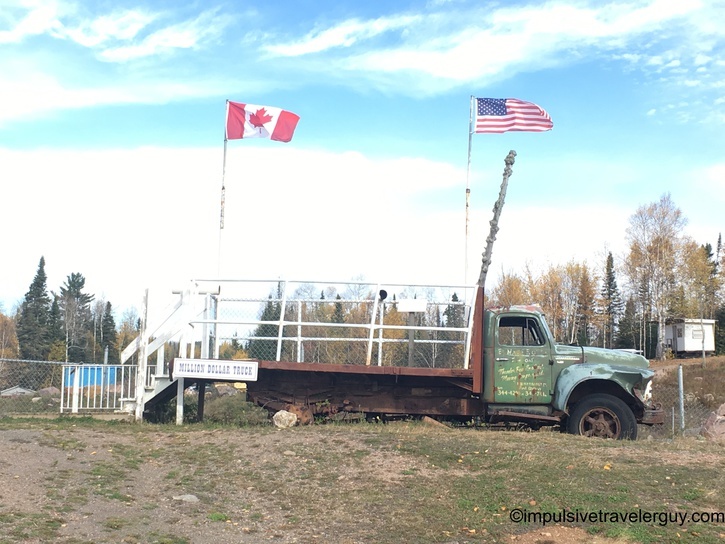 After my tour, I got back in the car to drive down the windy backroads that had taken me there. 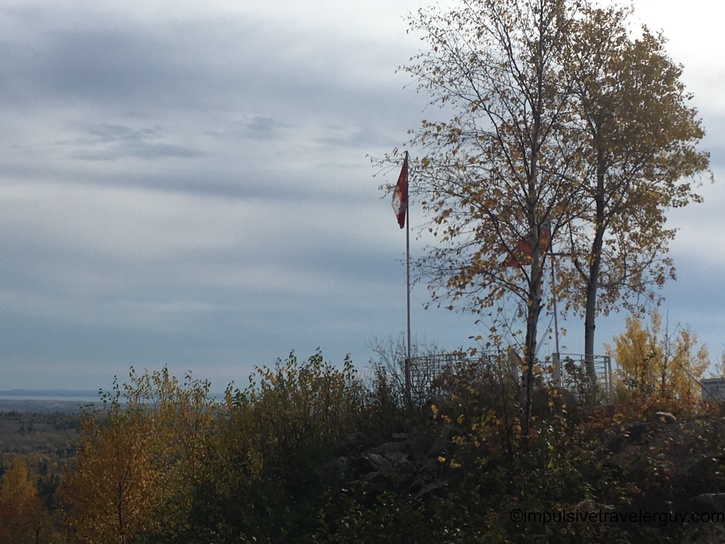 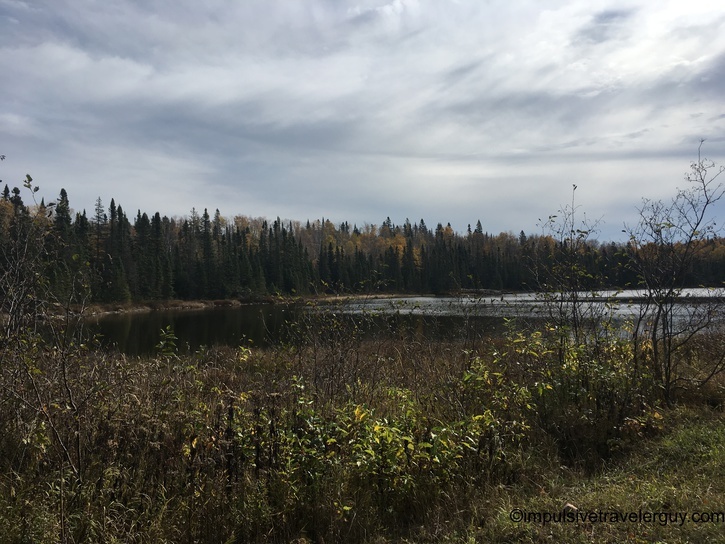 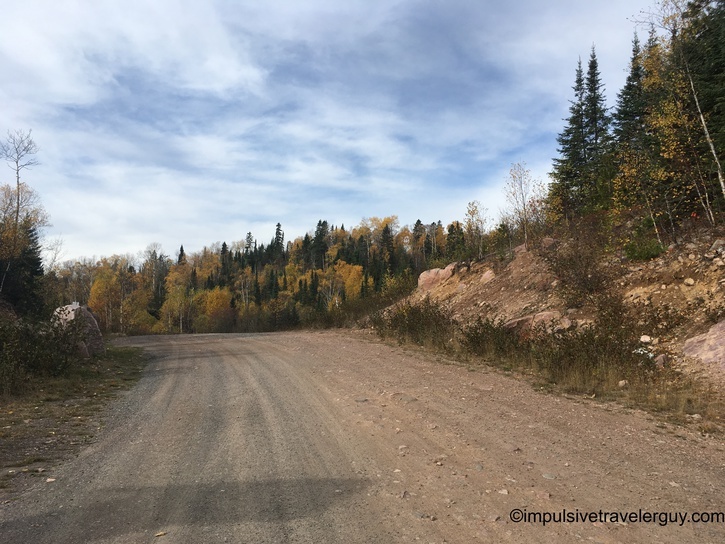 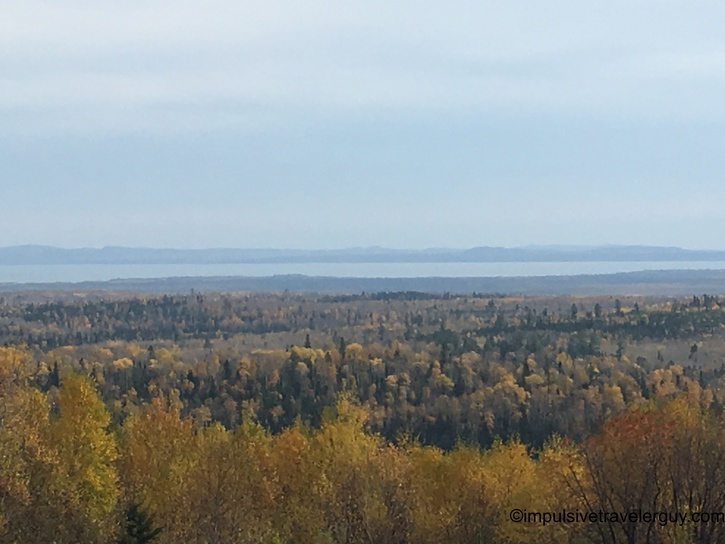 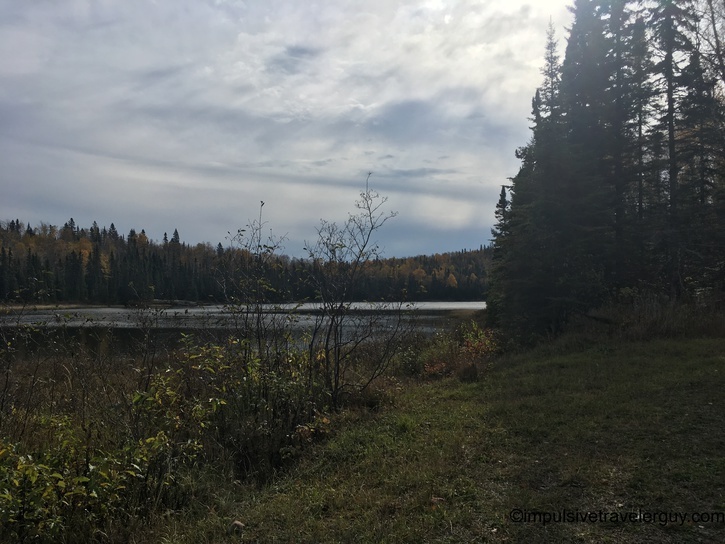 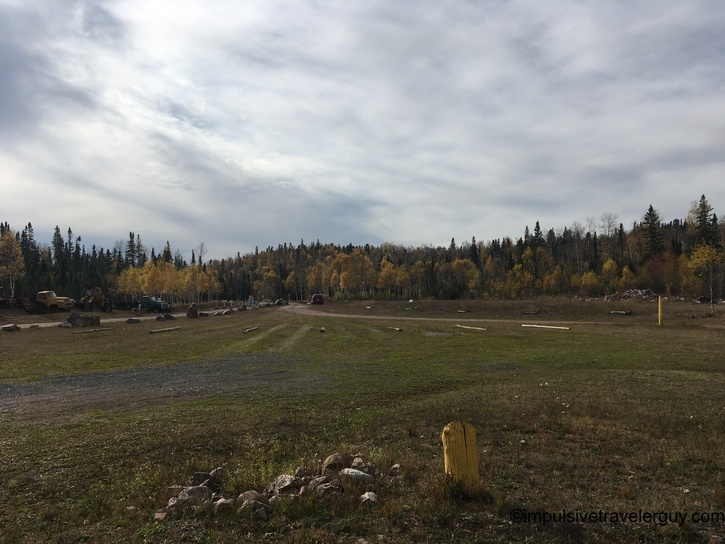 This time, I decided to stop and take a few pictures along the way, because the nature itself was beautiful and the fall colors itself made it even better. 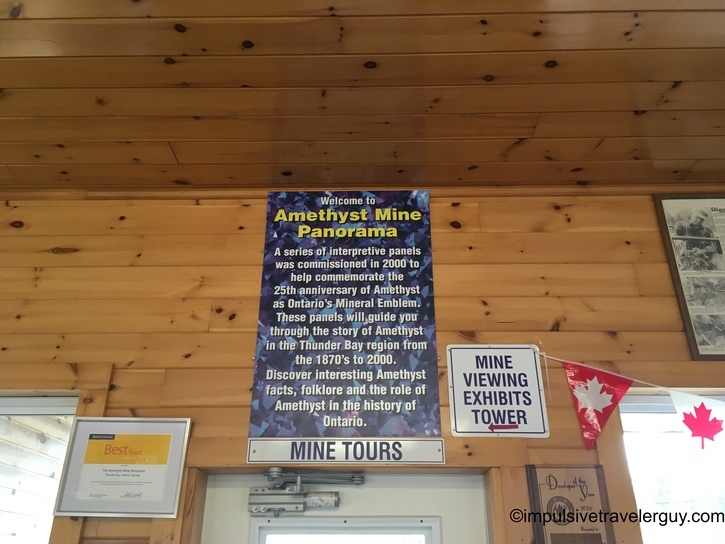 As I said, more details will be revealed in a later blog entry, but I was happy I was able to get to this mine before it closed for the season. 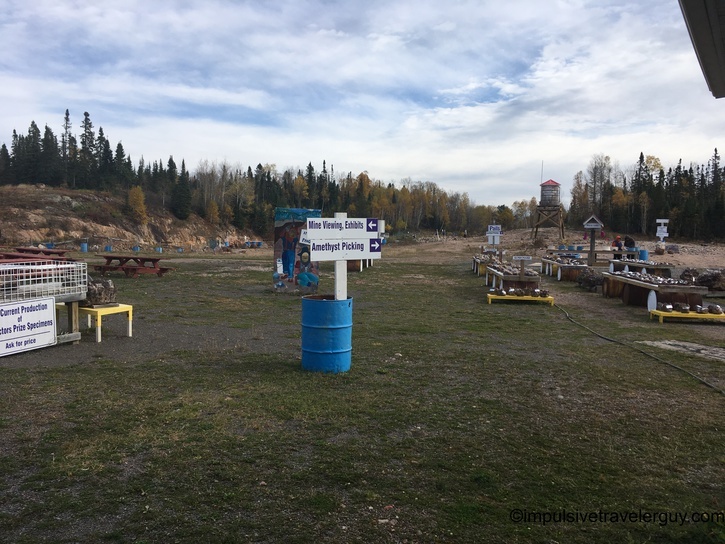 I did find out I had literally made it by a couple days before it would be closed until spring. 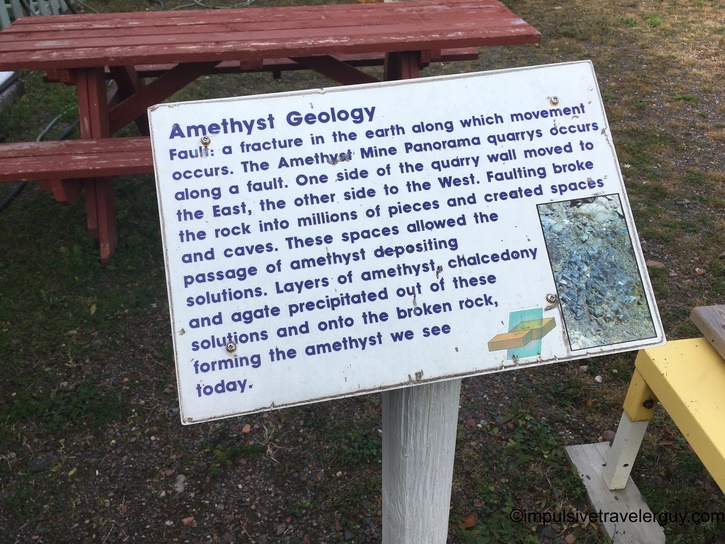 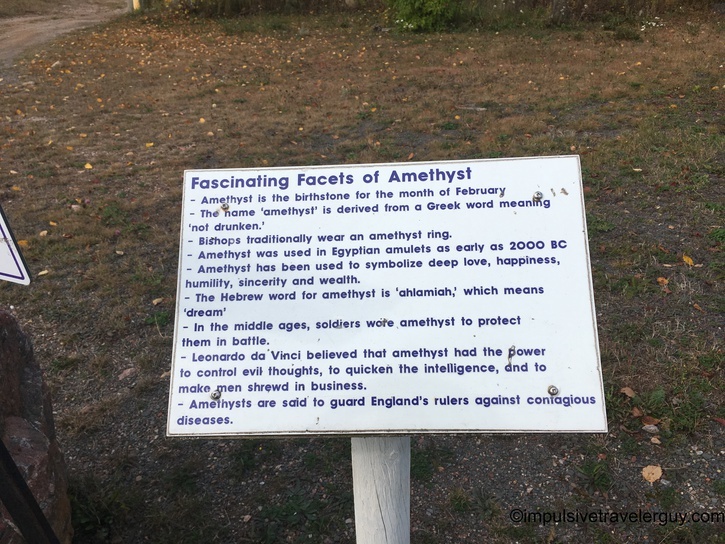 It was cool that I could say this part of the mission has been accomplished, and it is also learning more about amethyst brought me back to my high school days when I took geology class.